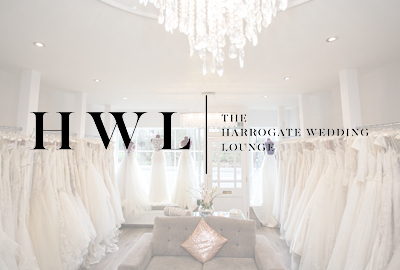 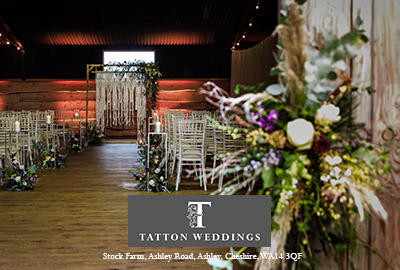 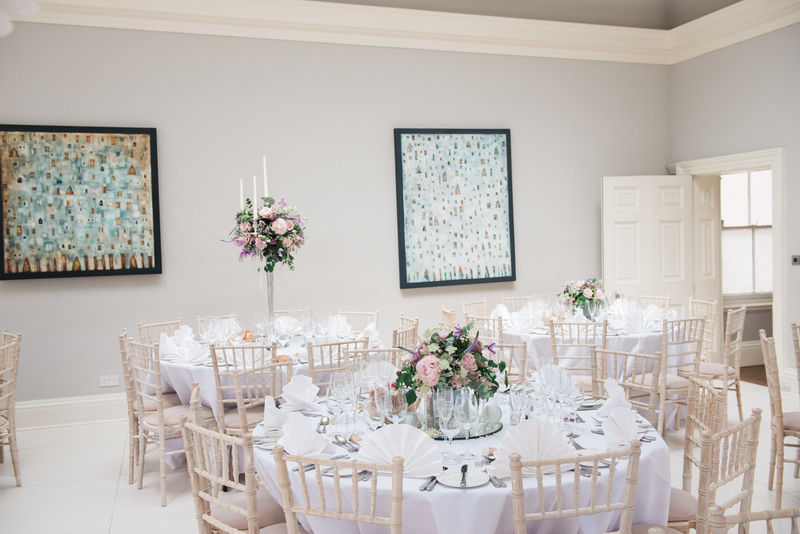 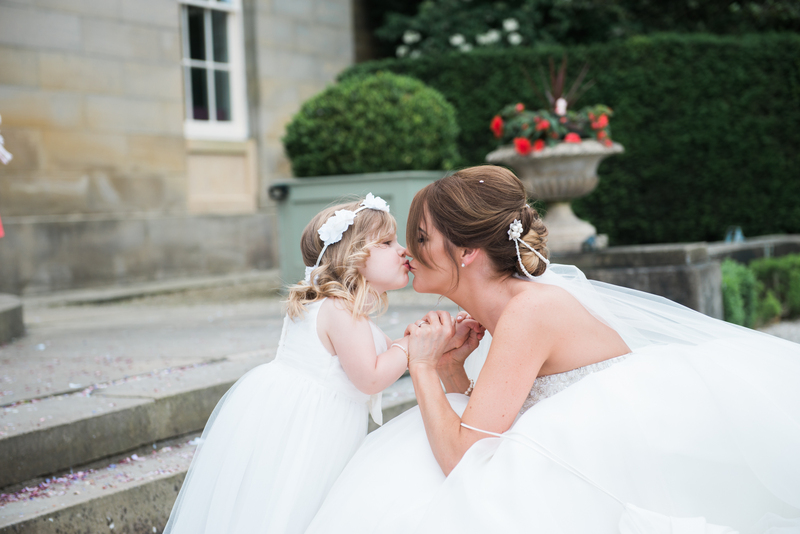 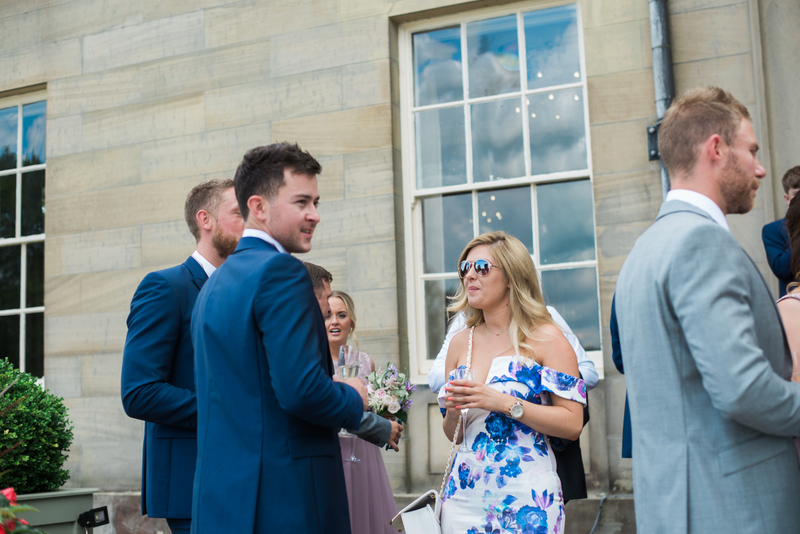 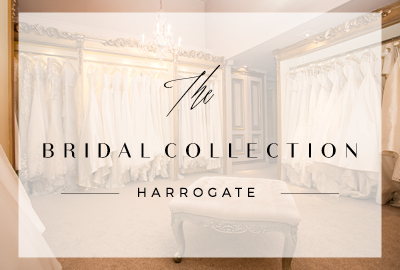 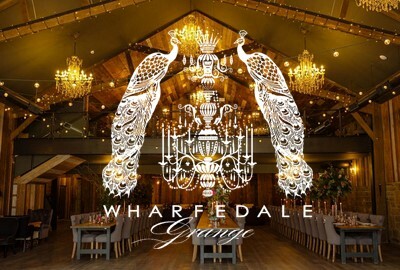 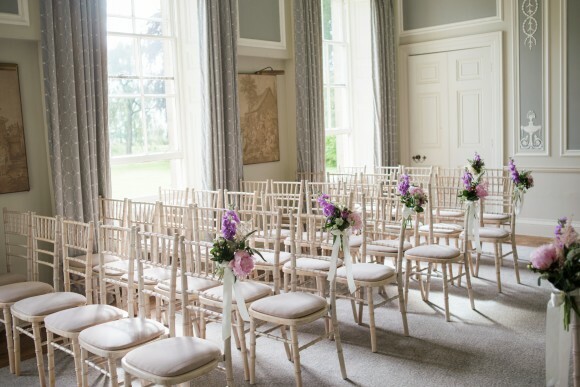 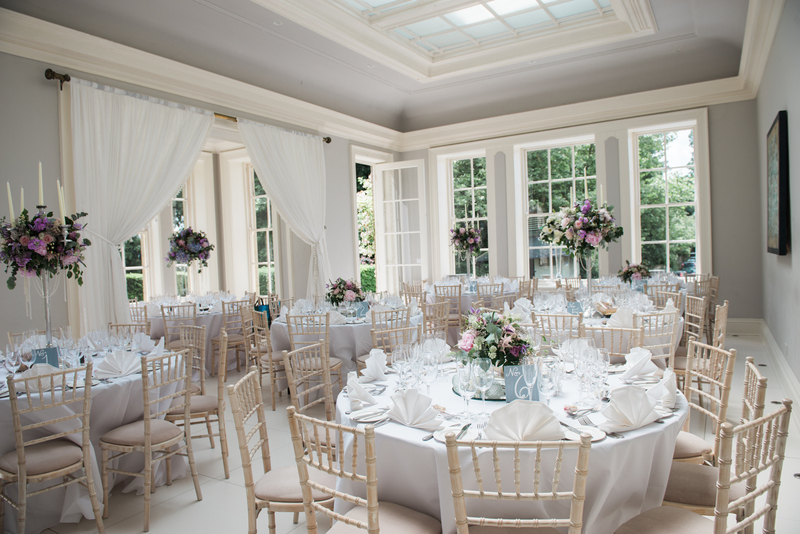 This morning’s real wedding takes place at Saltmarshe Hall in Yorkshire, a stunning venue at which we host our Luxury Wedding Shows, so if you like what you see, pencil in Sunday 9th April to view this beautiful building for yourselves during our next event. 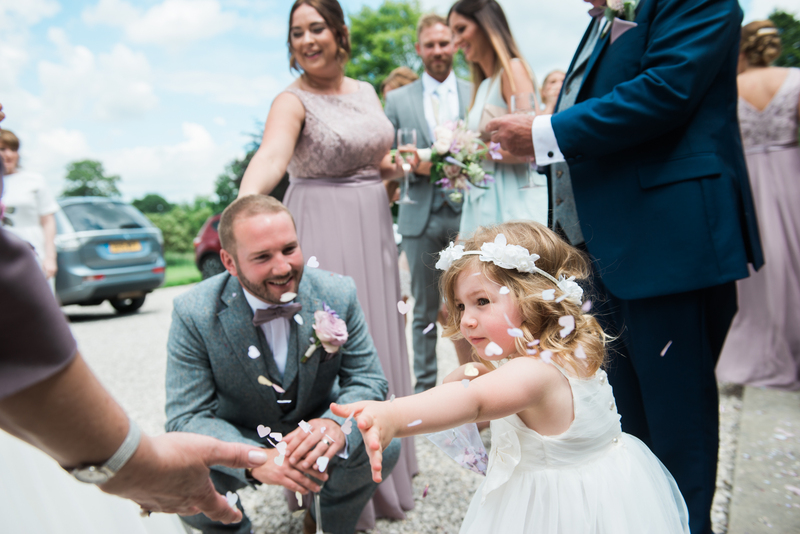 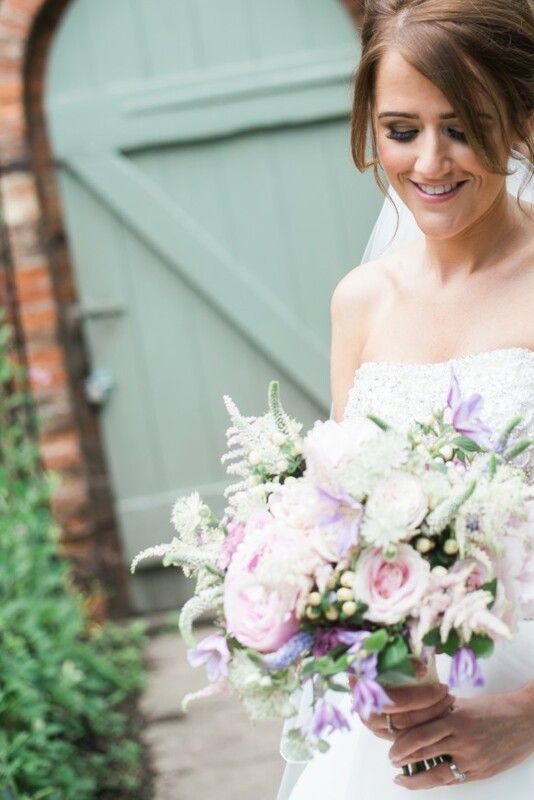 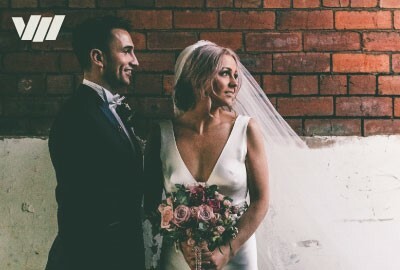 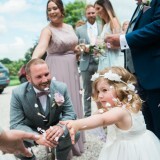 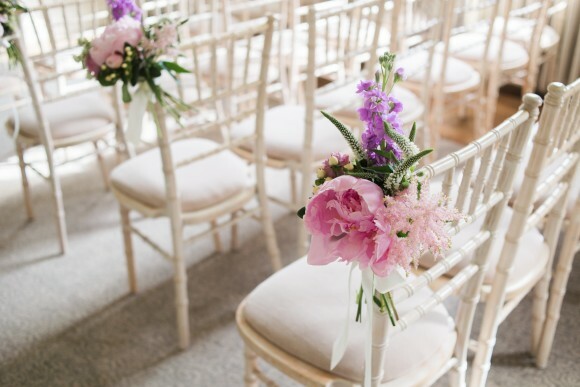 But for now, let’s enjoy reliving the gorgeous big day of Mark and Nicola, which featured a pretty pink, lavender and antique cream colour scheme, elegant shabby chic touches and incredibly dreamy floral arrangements. 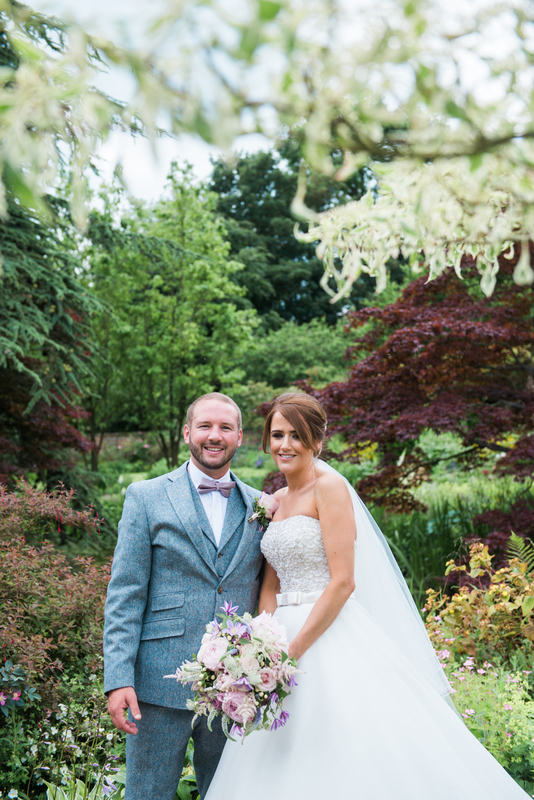 nicola says: Mark proposed to me at our favourite restaurant, Winteringham Fields, when I was eight months pregnant. 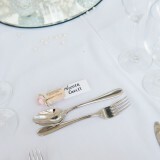 It’s a fine dining restaurant, where he organised a private room and we stayed in a suite. 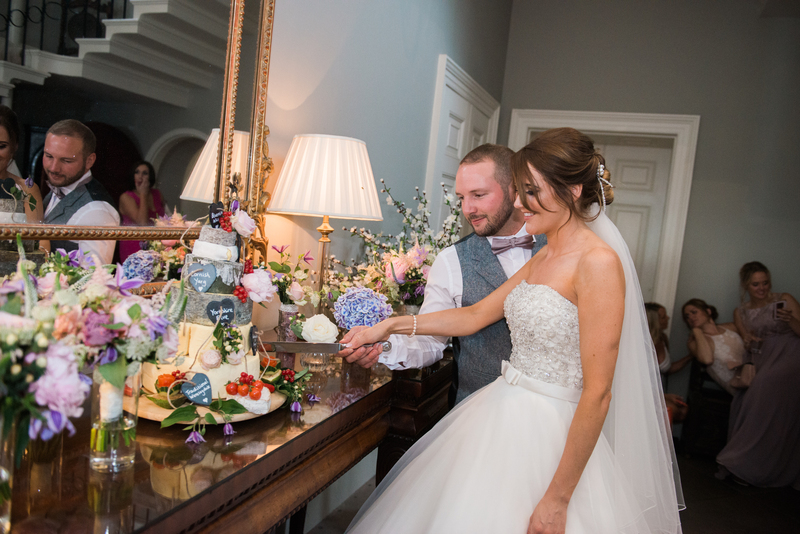 The ring came out under a cloche during a nine-course tasting menu, which was amazing food. 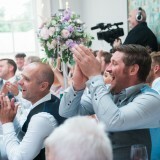 Mark got on one knee and proposed, I said yes but the kitchen staff who were watching on a CCTV camera were unsure whether I had, and dare not come back in the room, which was quite funny. 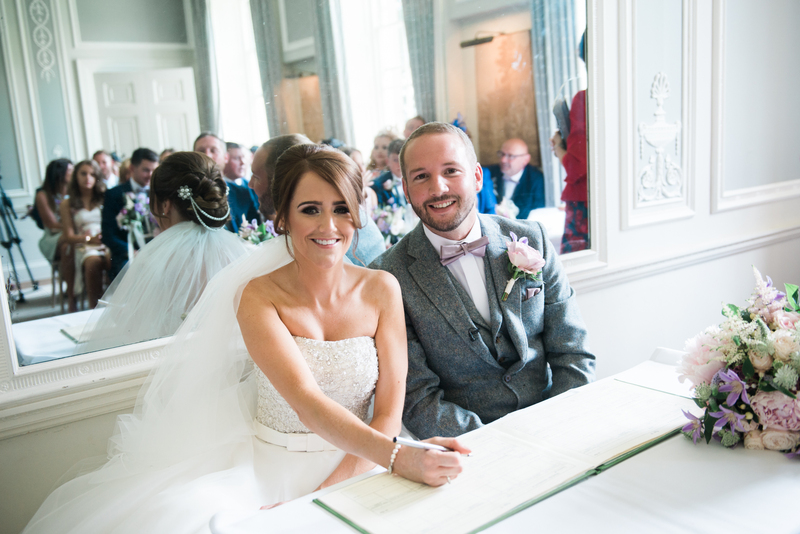 We married on the 24th June 2016. We chose the date as it we wanted to marry early summer and hoped for some nice weather, which we got! 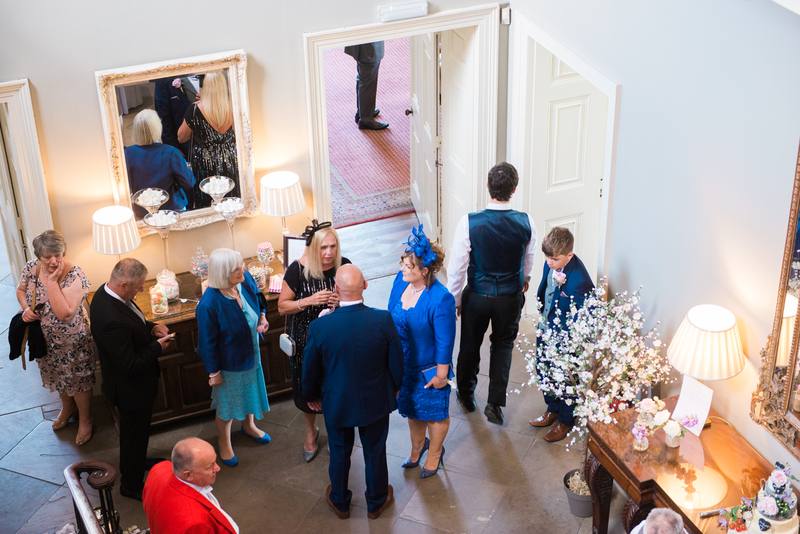 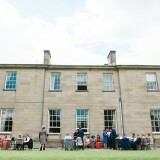 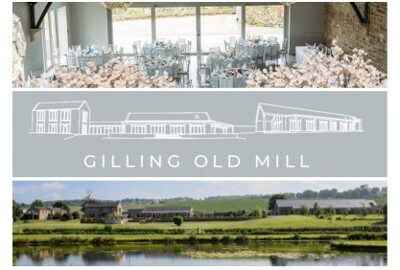 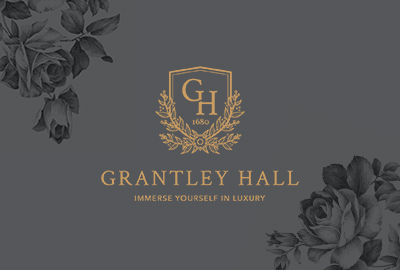 Our venue was an amazing privately-owned stately Georgian home called Saltmarshe Hall in East Yorkshire. 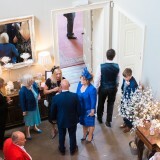 It is quite a new venue; the family have just finished renovating it and actually live there during the week. 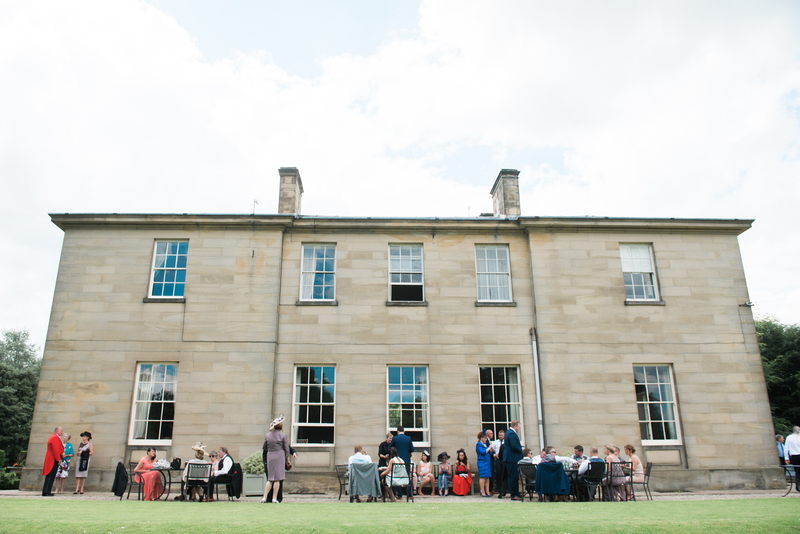 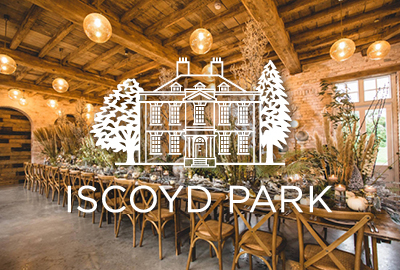 We chose the venue as the grounds and house were amazing and we literally fell in love with it and didn’t look anywhere else. 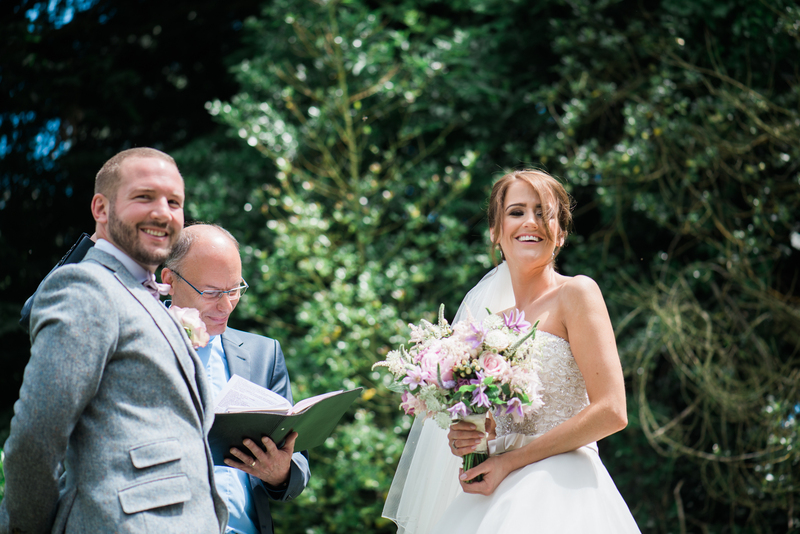 We were married by a registrar but then the vicar from our local village, who is a family friend, gave us a religious blessing in the gardens after we formally married, which was nice. 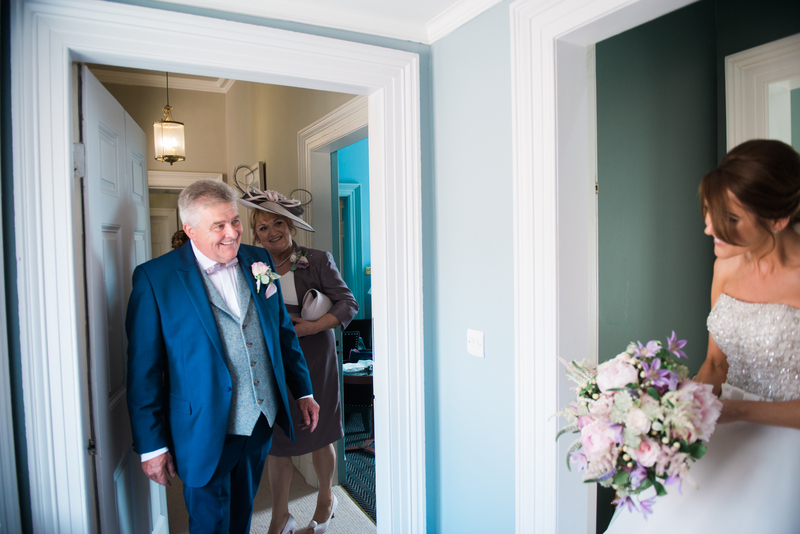 We didn’t have a specific theme for the wedding, we just went for a classic and traditional style with our own personal touches. 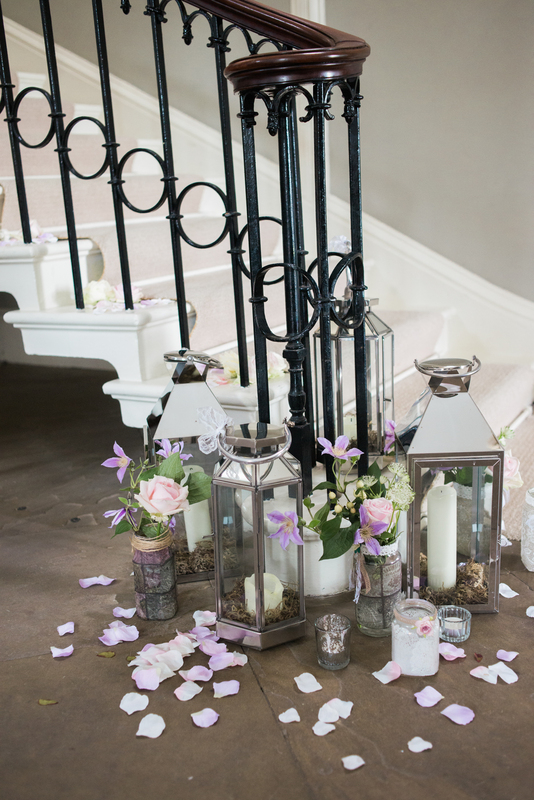 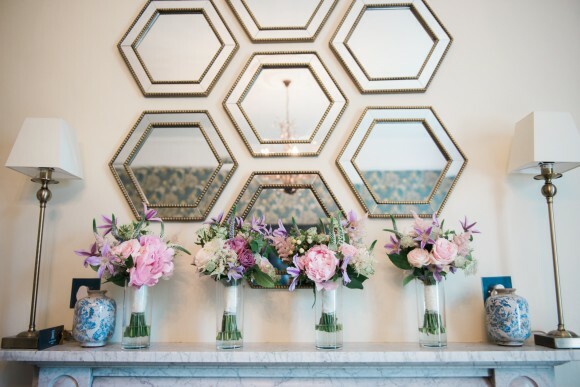 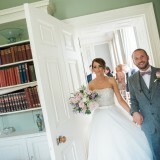 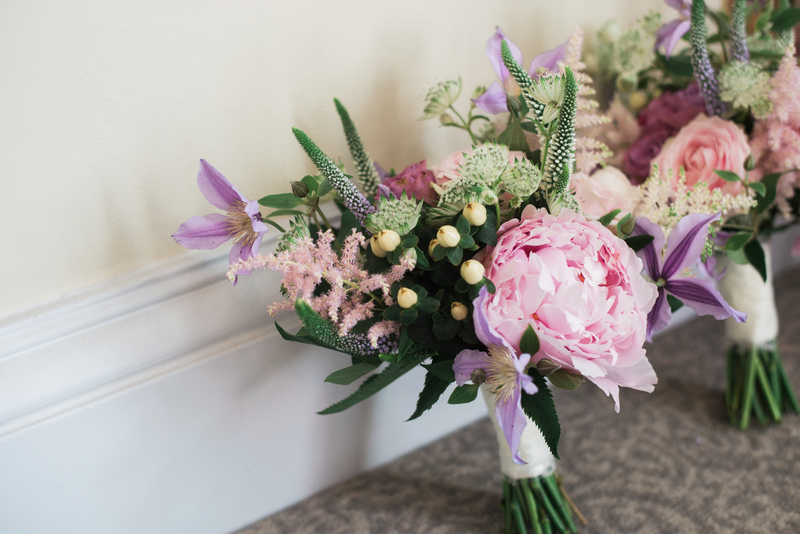 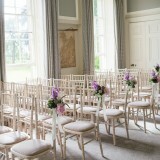 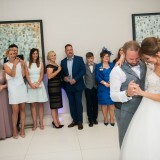 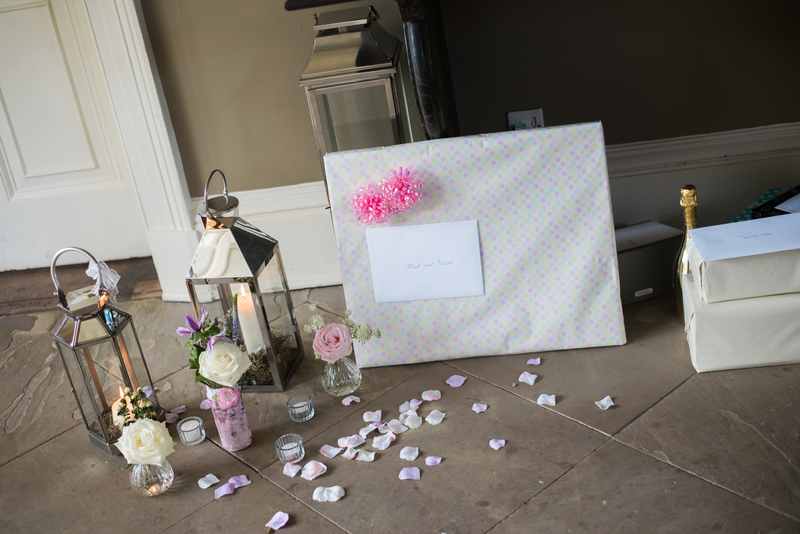 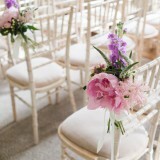 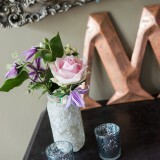 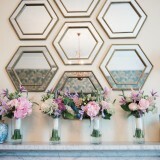 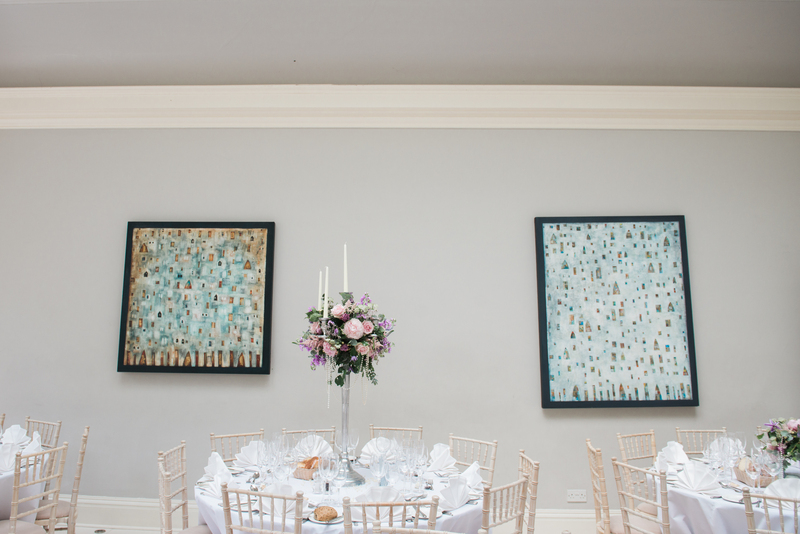 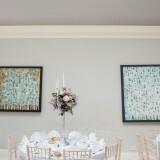 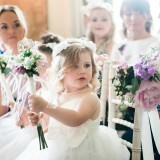 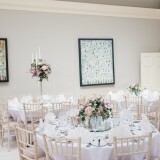 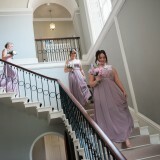 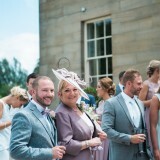 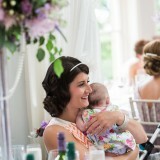 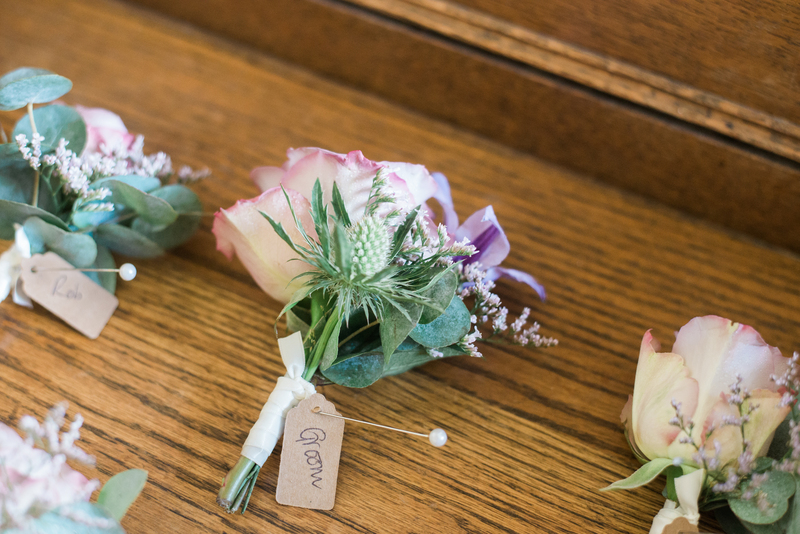 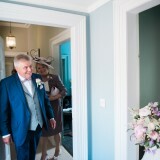 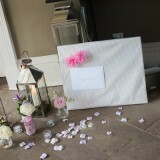 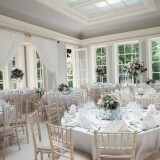 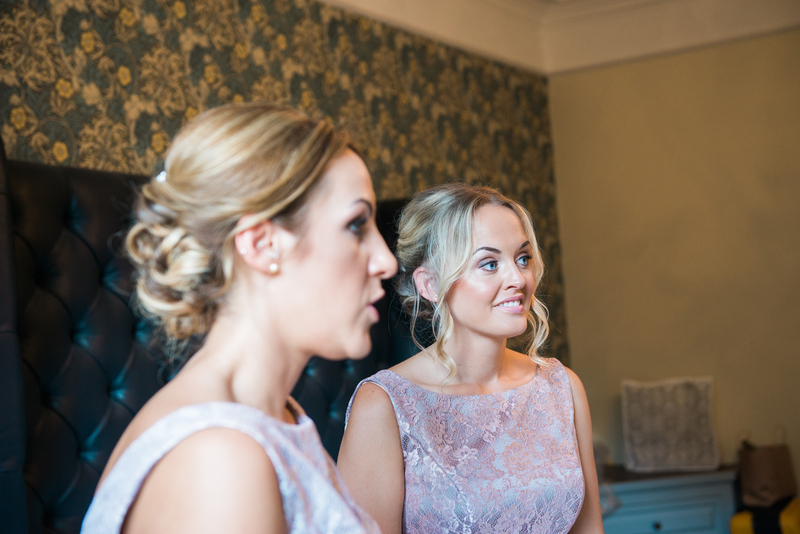 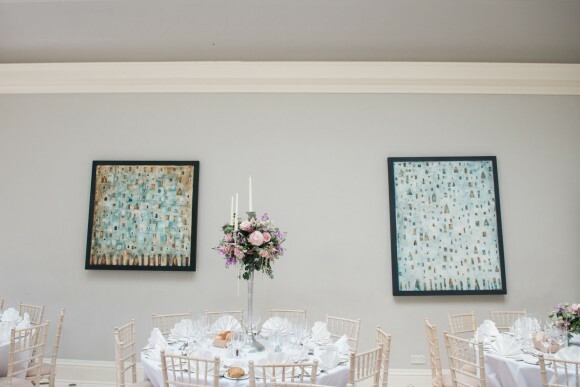 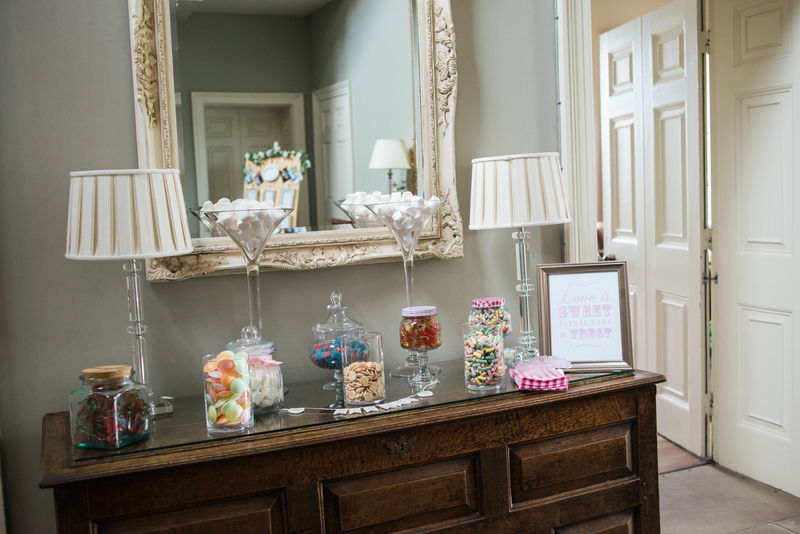 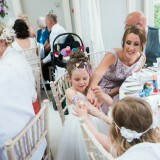 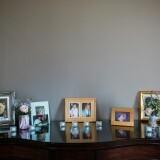 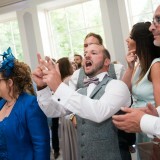 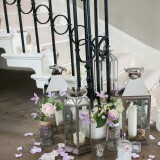 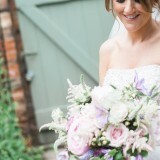 Our colour scheme was soft shades of pink/lavender and antique cream. 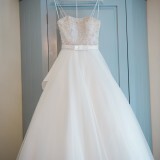 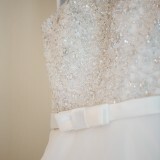 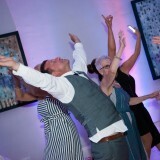 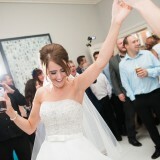 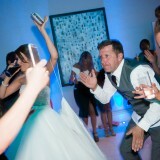 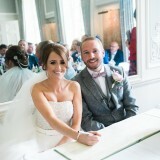 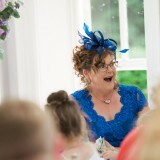 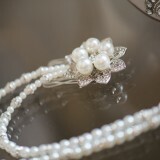 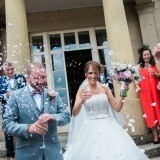 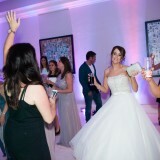 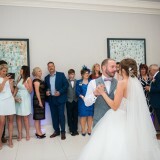 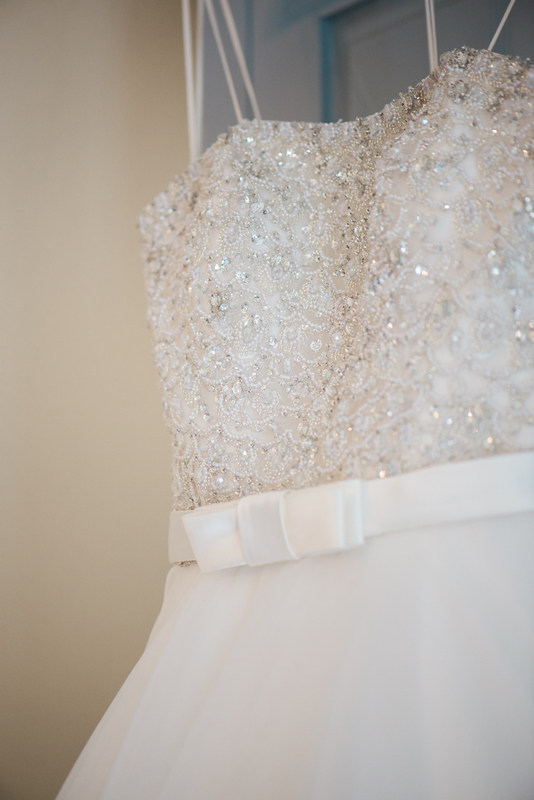 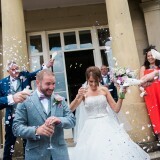 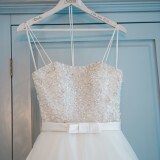 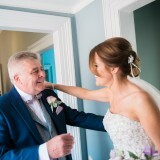 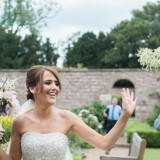 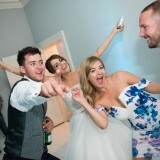 My wedding dress was from It’s Bliss Bridal & Prom Wear in Doncaster. 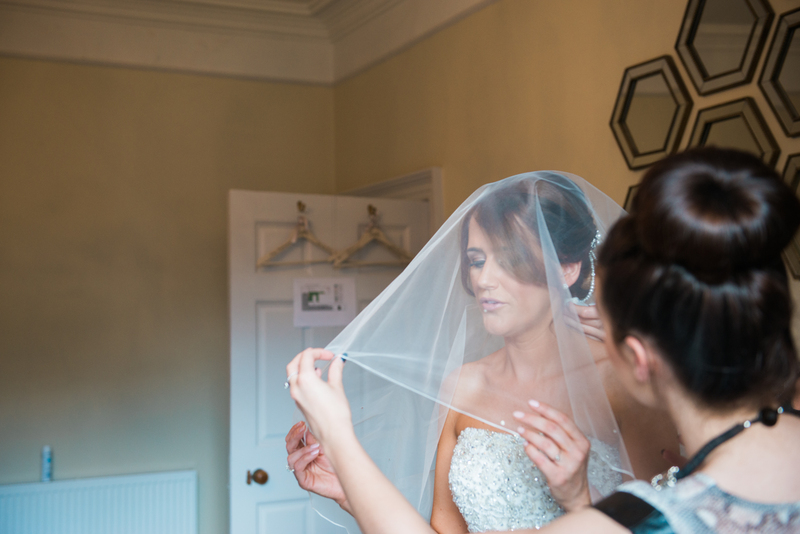 The design was a classic style with corset bodice, organza skirt with pearl and crystal detailing, which I wore with a full-length veil. 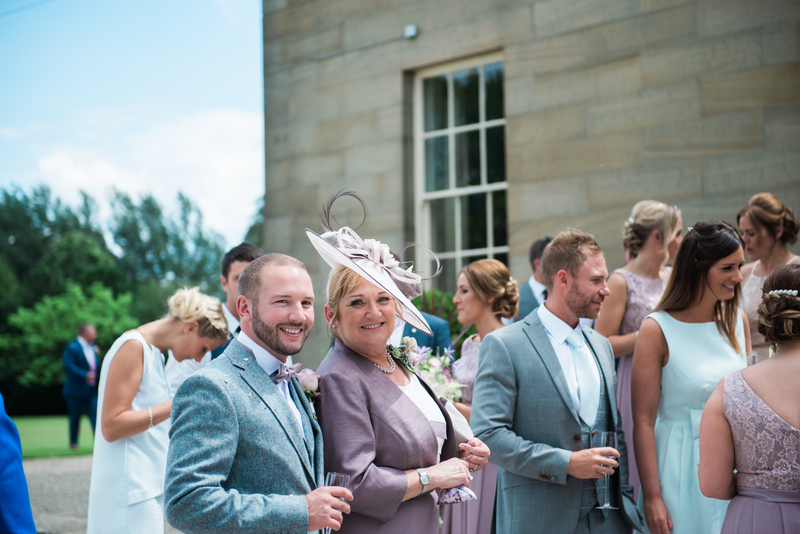 Mark wore a three-piece tweed suit from Top Mark of Pontefract, along with a handmade lavender colour dicky bow and pocket square. 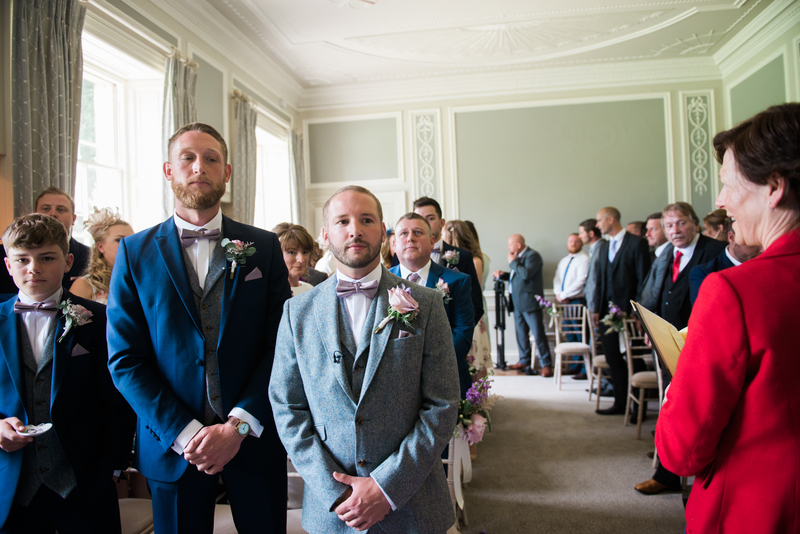 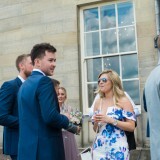 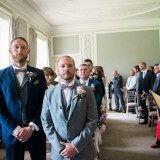 The groomsmen wore navy suits with matched tweed waistcoats, also from Top Marks, with the same lavender dicky bows and pocket squares. 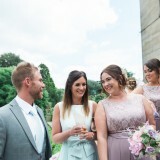 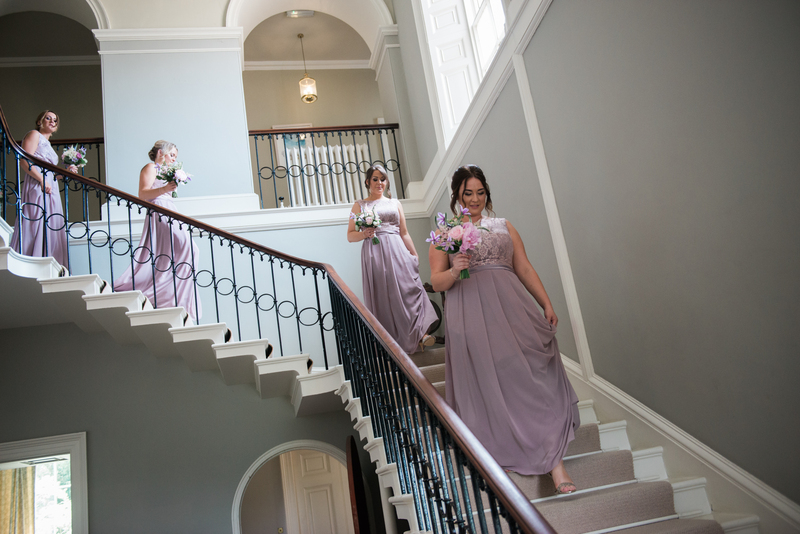 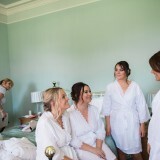 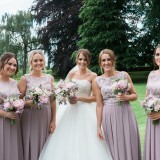 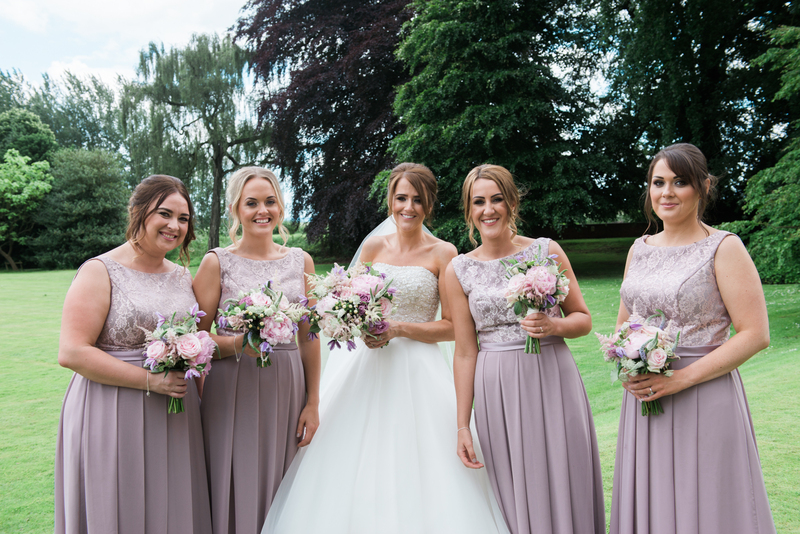 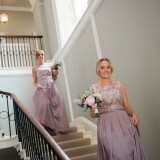 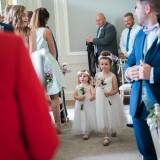 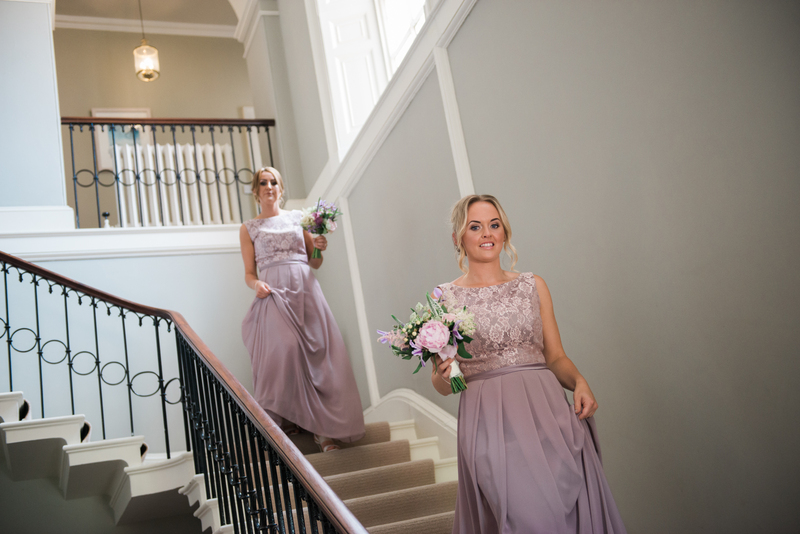 My bridesmaids wore floor-length lavender dresses, which we got from Alison Jane Bridal of Mirfield. 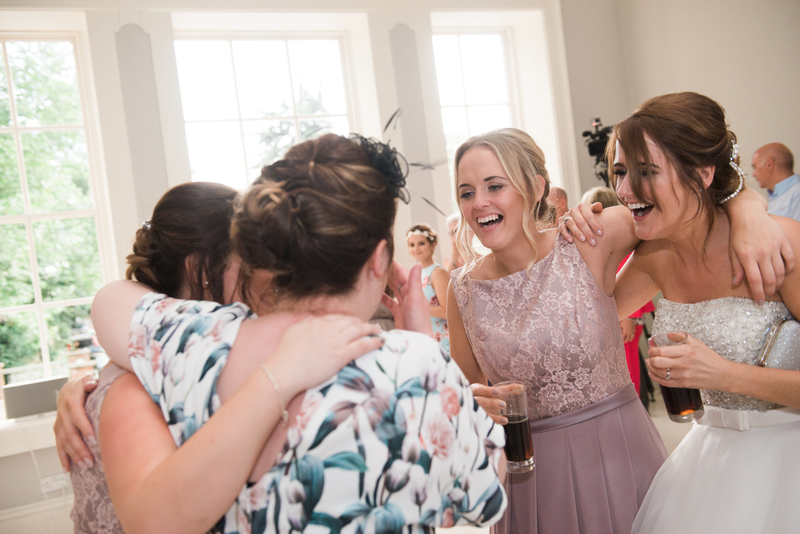 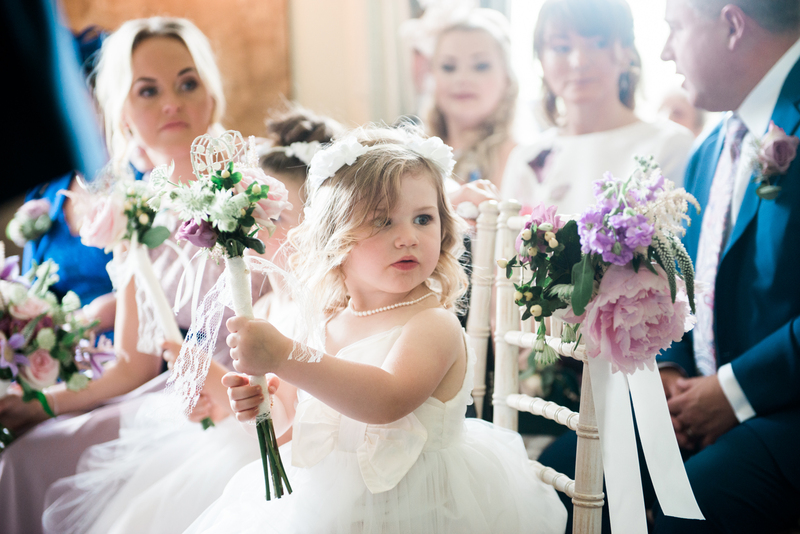 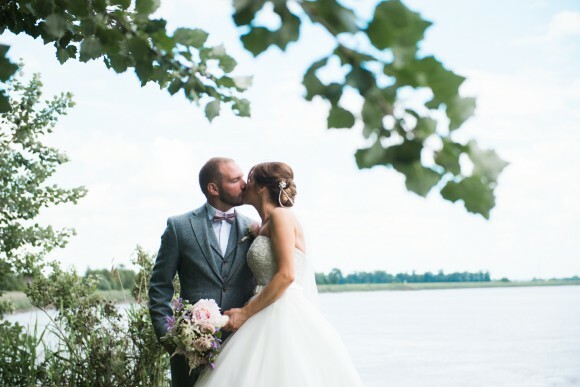 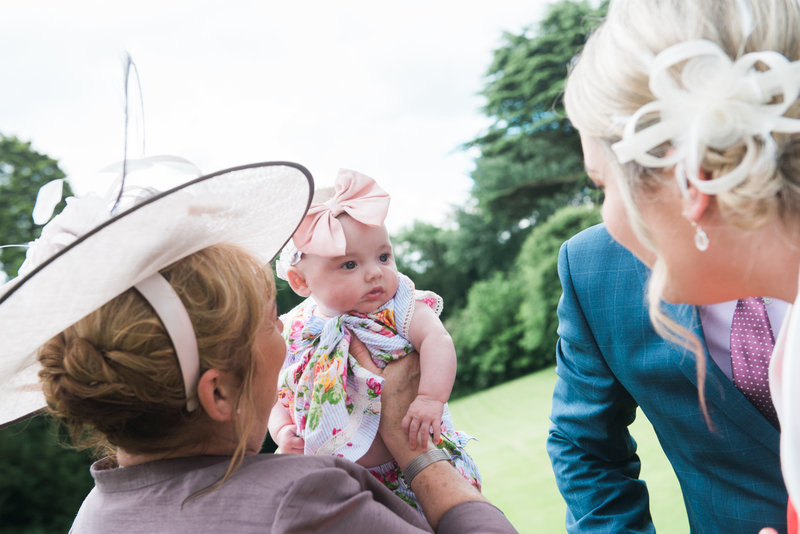 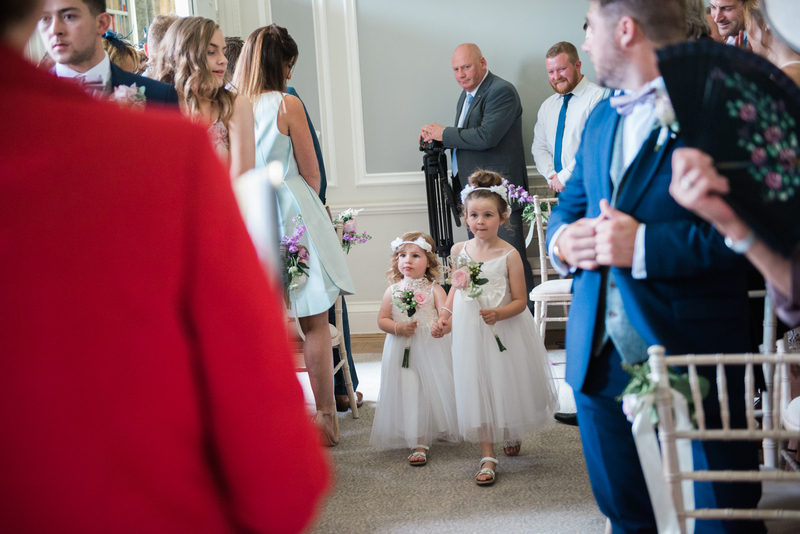 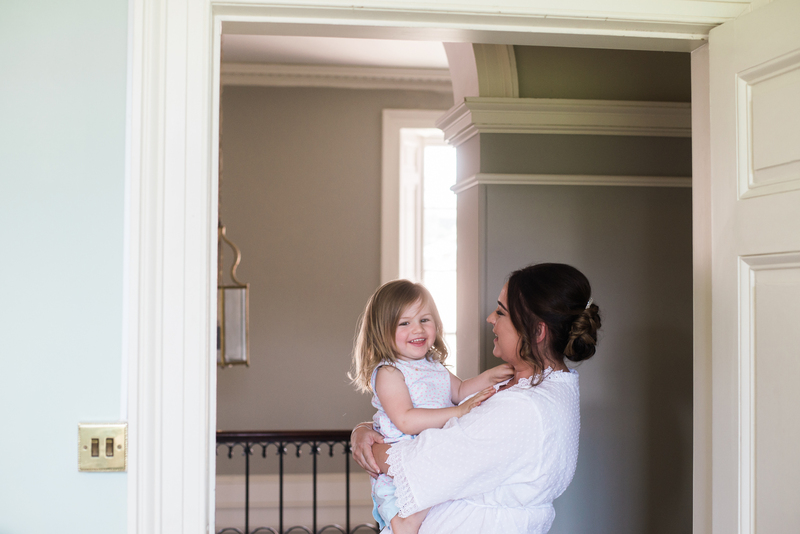 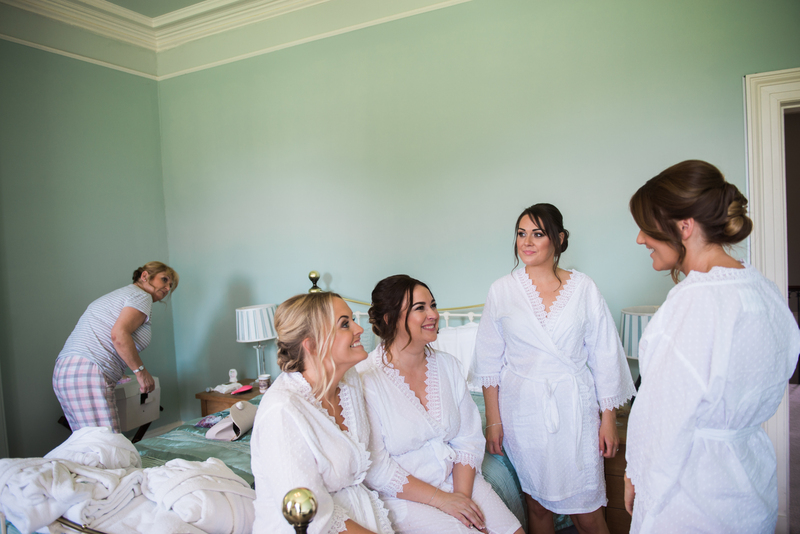 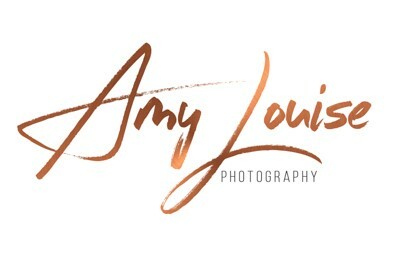 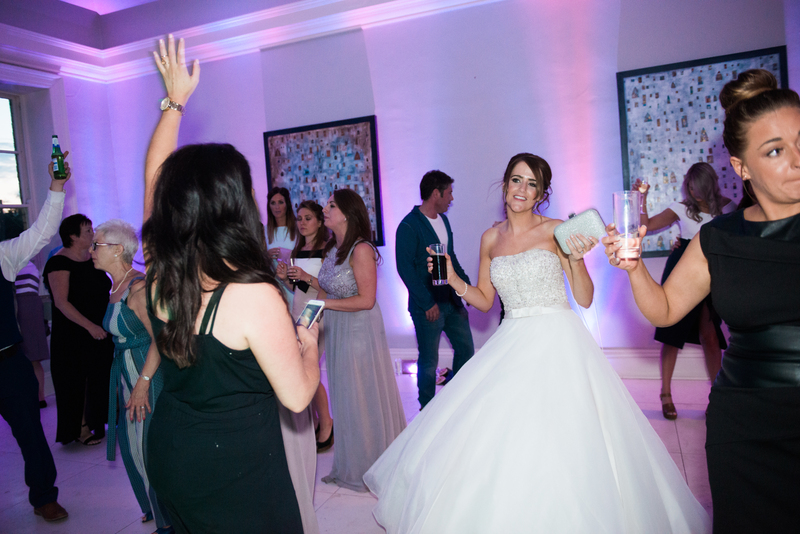 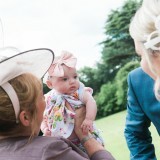 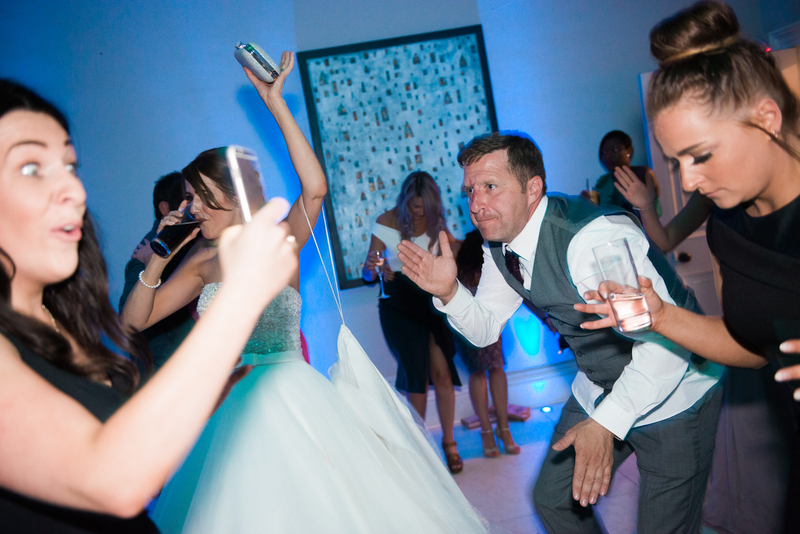 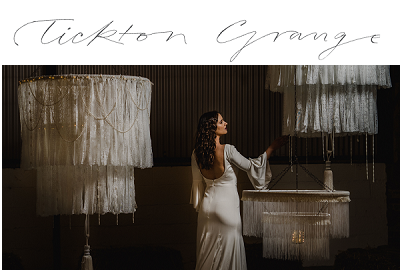 Claire Louise Photography captured our day and we would definitely recommend her. 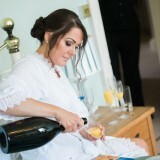 The pictures turned out great, as did the pre-wedding shoot with our daughter. 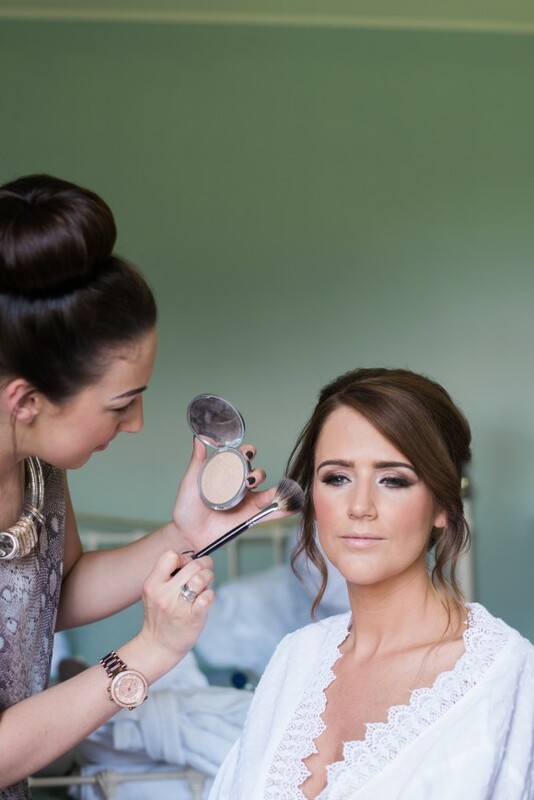 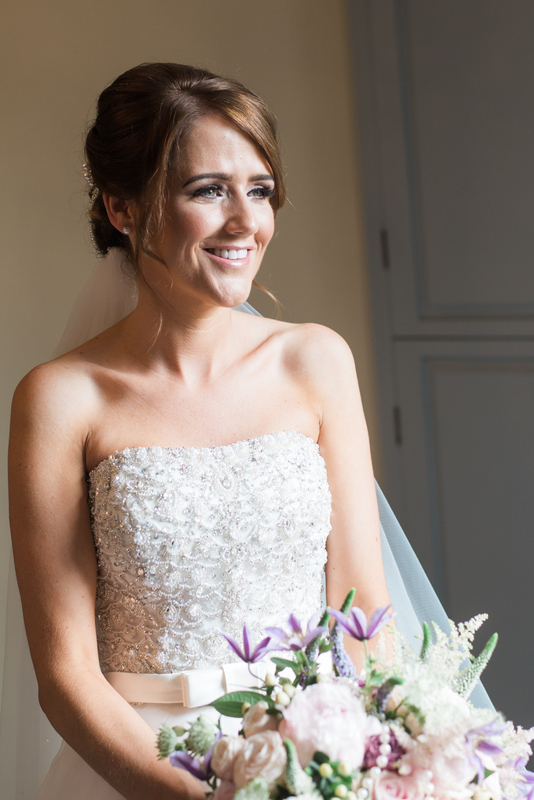 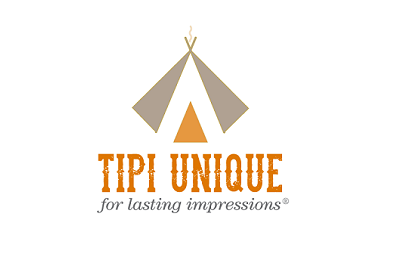 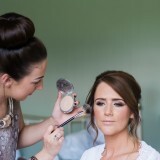 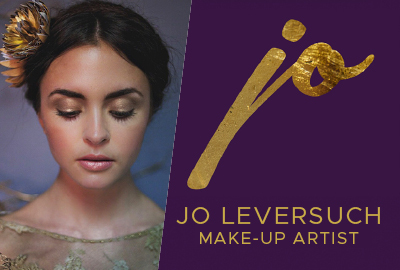 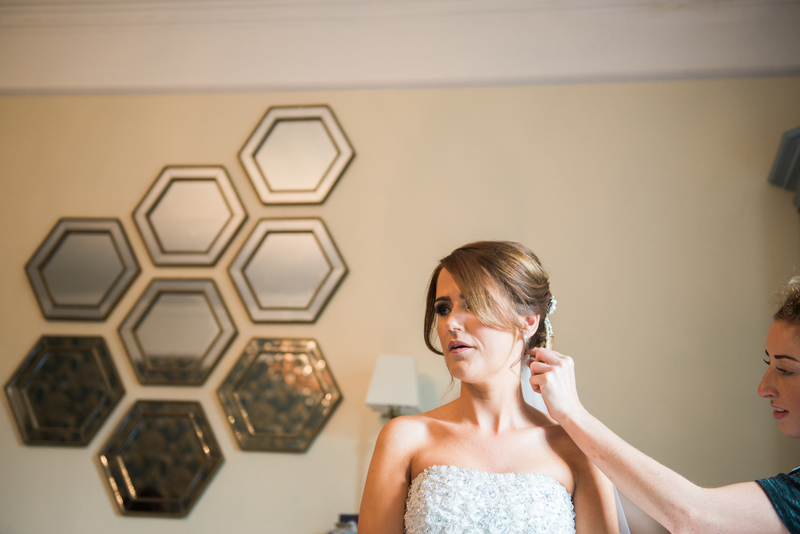 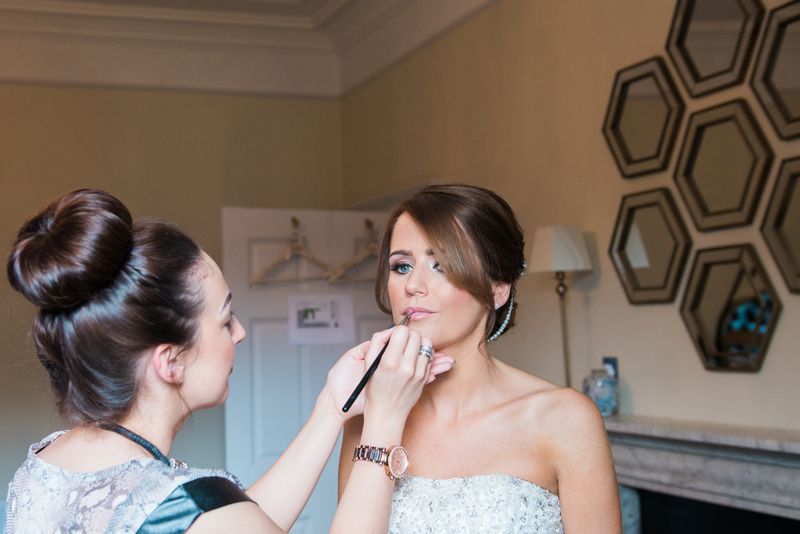 Claire had a natural style and relaxed manner throughout. 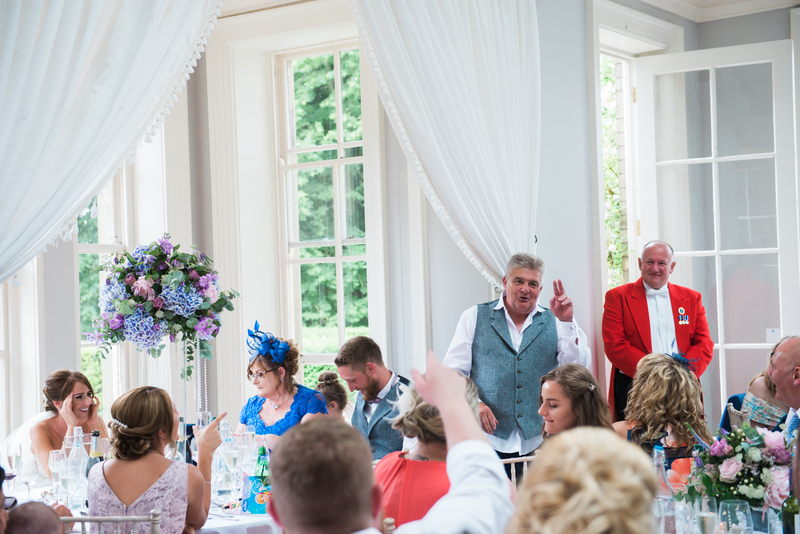 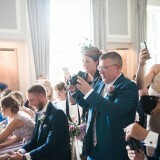 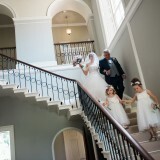 We also had a videographer to film our day – Terry Mullaney of Picture House Weddings. 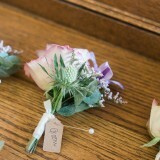 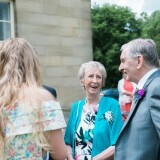 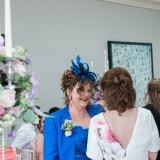 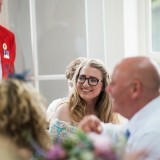 Our lovely wedding flowers were provided by my bridesmaid Emily, who runs BlossEm in Ackworth. 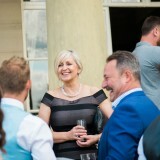 Emily is truly excellent and recognised within the industry. 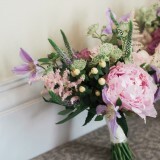 I carried a beautiful bouquet of peonies, clematis, sweet avalanche roses, veronicas, astilbe, astrantia. 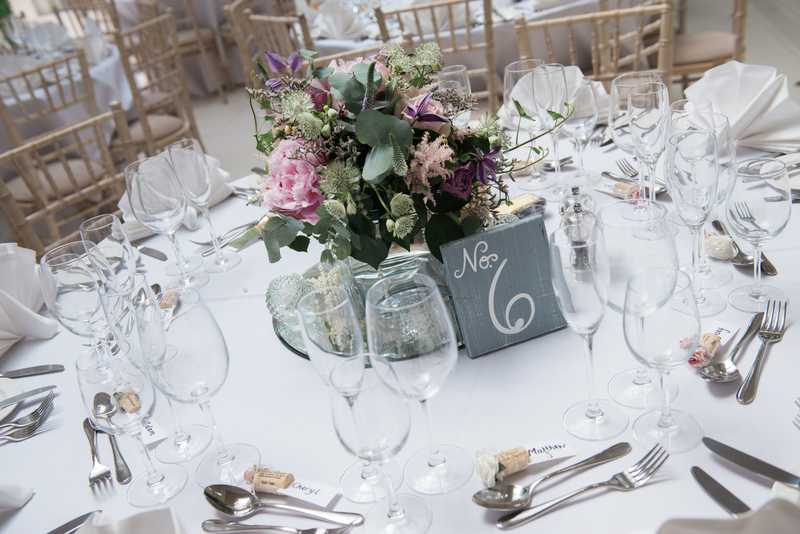 As decoration for the reception, we had a mixture of polished silver candelabras with low glass cubes and the top table had an oversized vase with large posy, which were also provided by Emily. 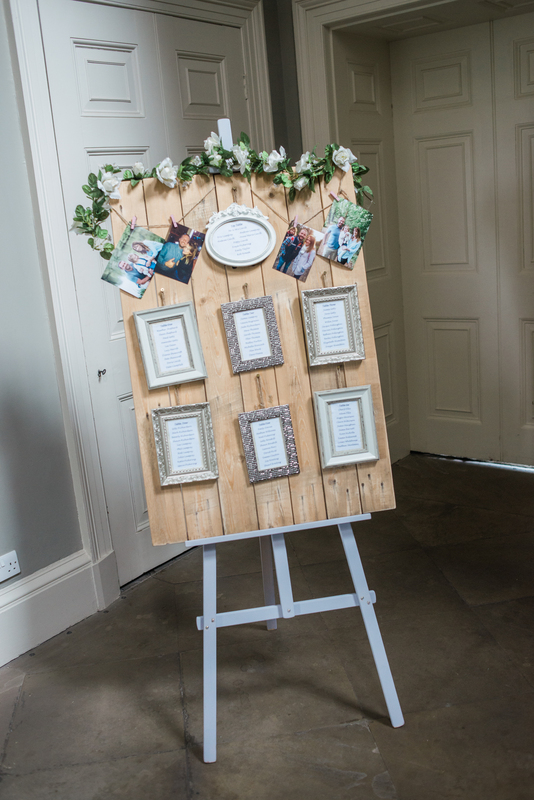 We made our own table plan from reclaimed floorboards and a chalk painted easel. 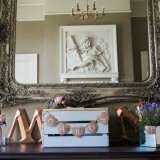 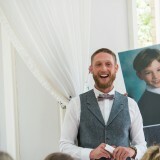 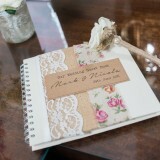 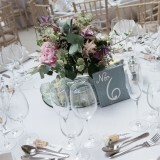 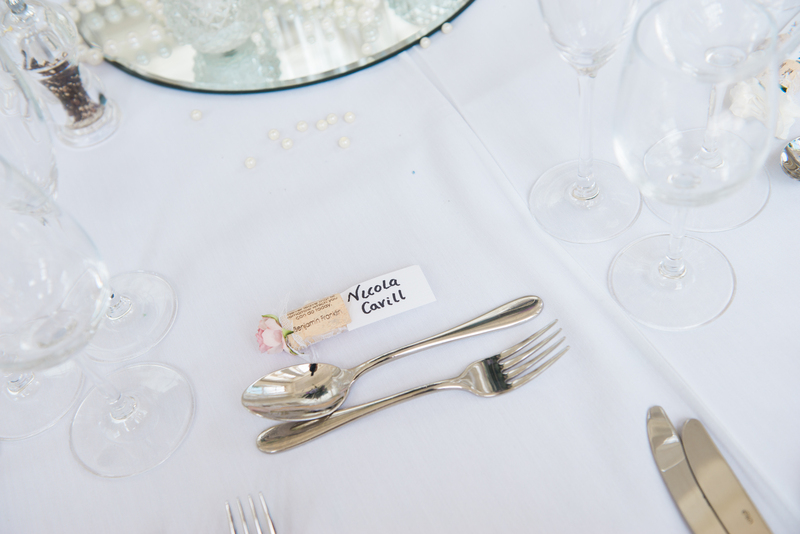 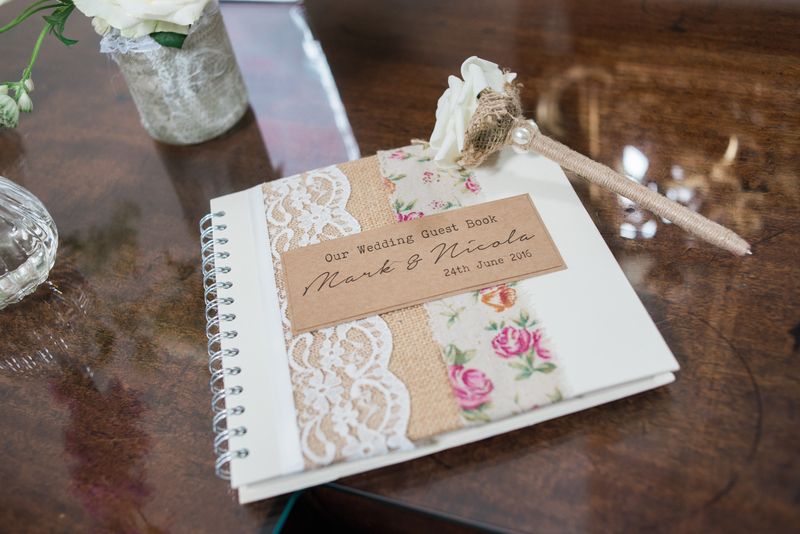 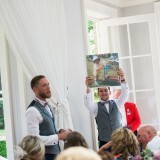 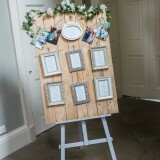 Each table plan was in a shabby chic picture frame. 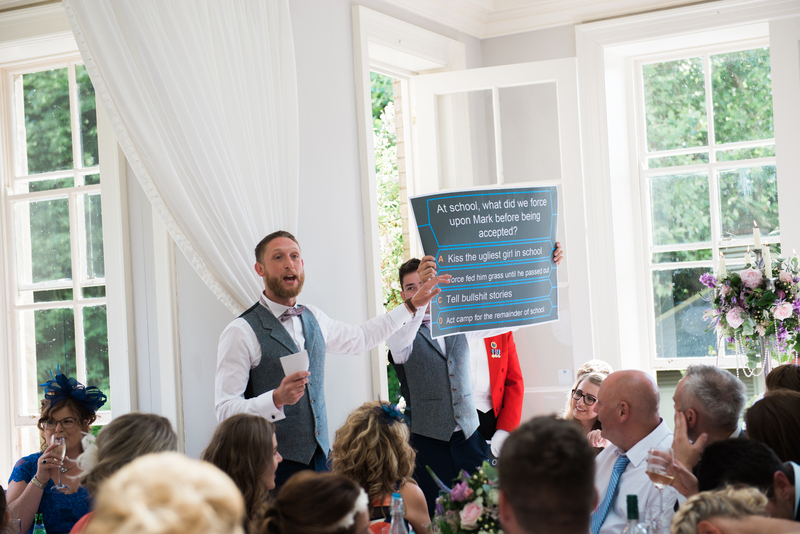 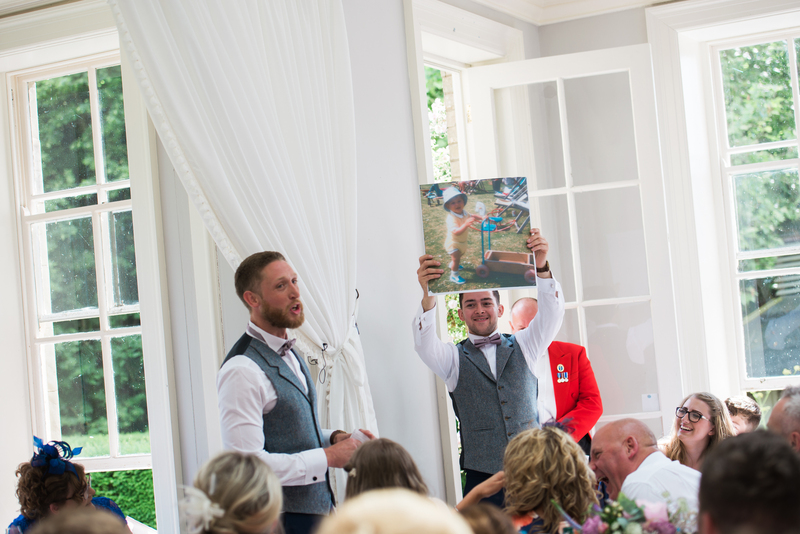 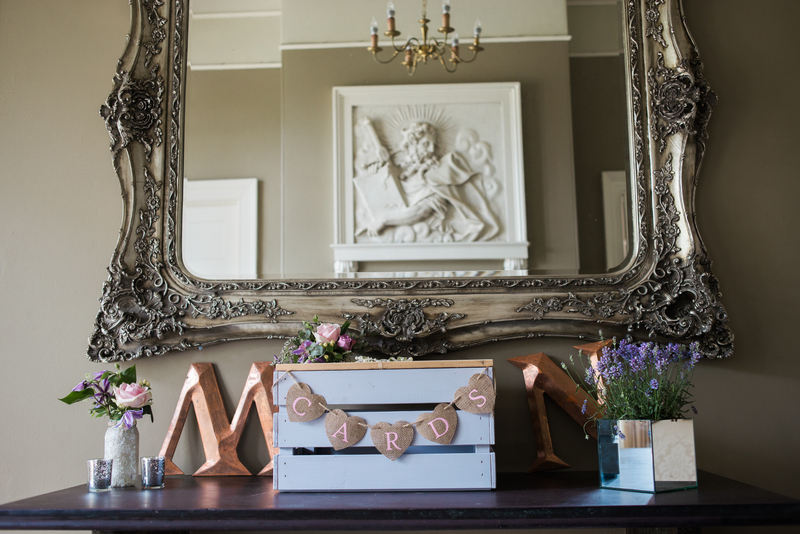 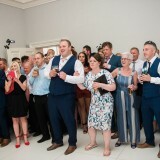 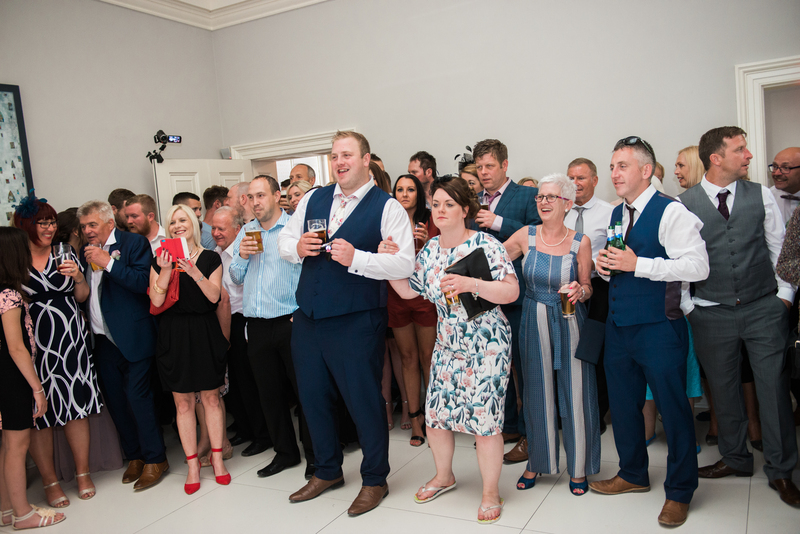 We also made the name places from wine corks printed with inspirational quotes, finished with paper flowers in colours to match the wedding, and also created a card box from a rustic crate, which we hand painted. 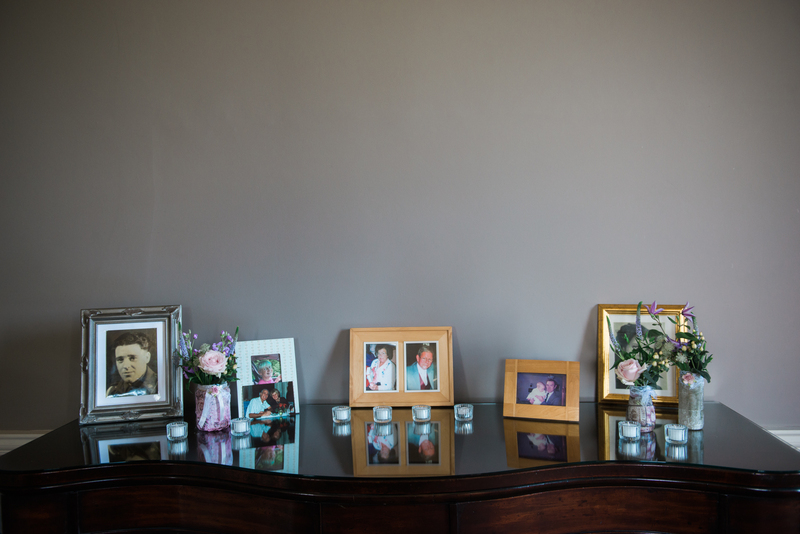 As a special touch, we also had a table of pictures on display of our close family members who have unfortunately passed away. 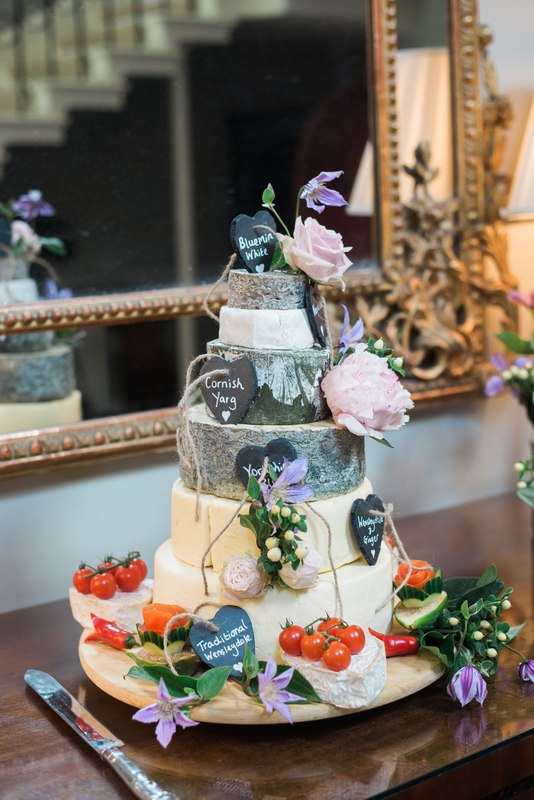 Instead of a sweet wedding cake, we had a five-tiered cake of large cheese rounds, made by Purple Chilli Events Catering of York. 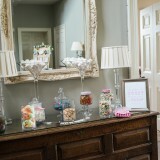 This was used to feed our evening guests and was accompanied with chutneys and cheese biscuits. 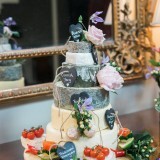 Emily also dressed the cake with simple flowers. 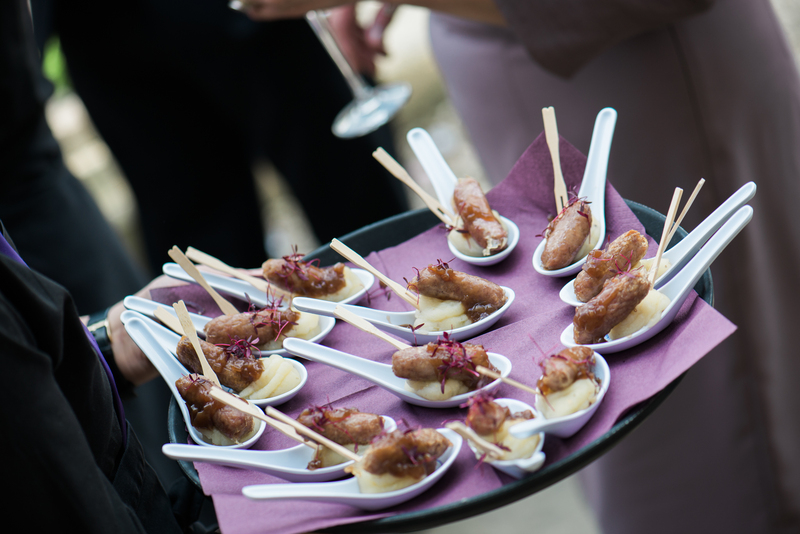 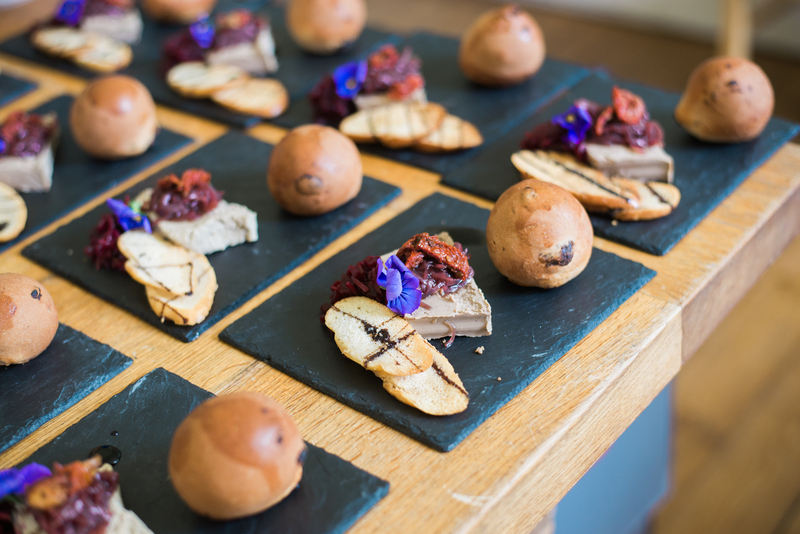 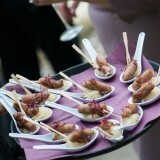 For the wedding breakfast, we decided on canapes followed by a formal three-course dinner with options for the guests. 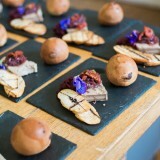 Starter was a choice of scallops with belly pork or chicken liver parfait; mains were braised beef steak or pan fried chicken supreme and dessert was citrus lemon tarte or chocolate profiteroles. 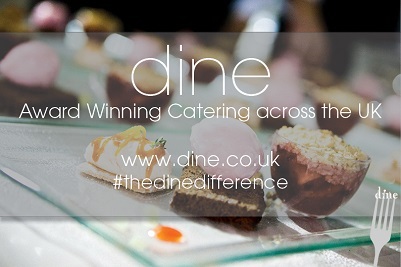 All the food was absolutely excellent. 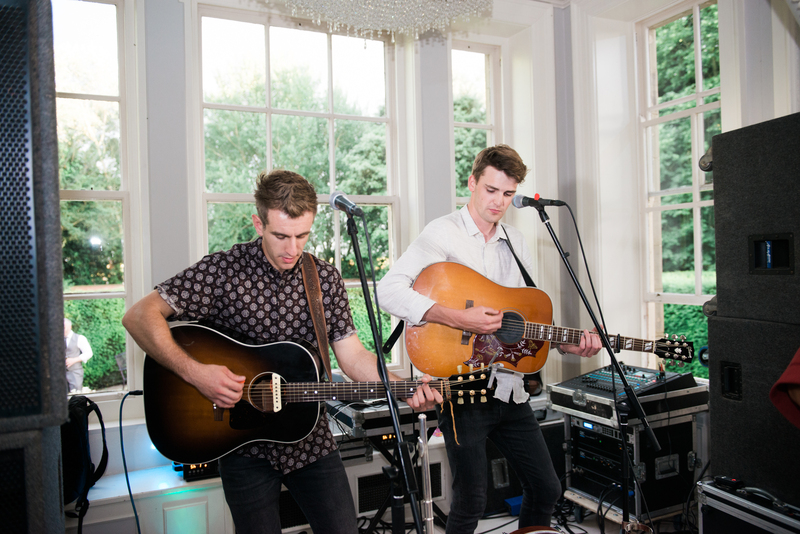 To provide entertainment, we hired an amazing live band called Mac Brothers. 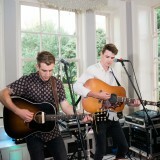 They are from Liverpool and appeared on The Voice and were in Rita Ora’s team. 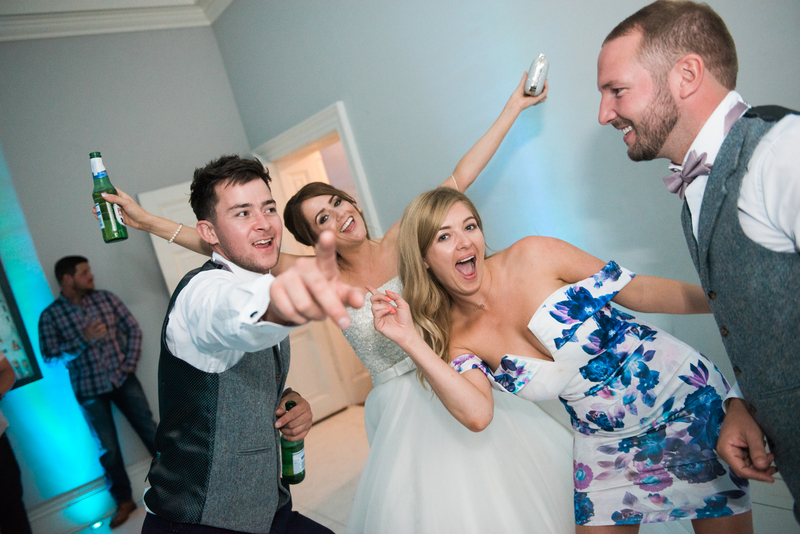 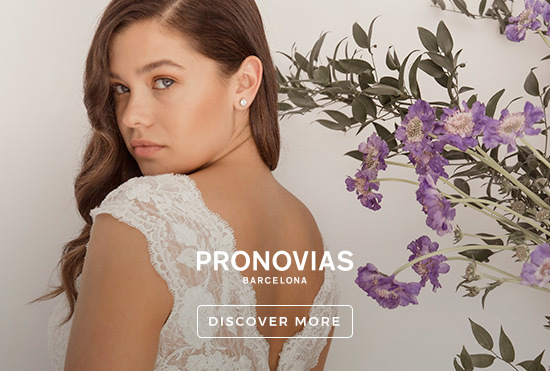 We saw them at our friend’s wedding before they were on TV and they were so good that we decided to hire them for our big day too. 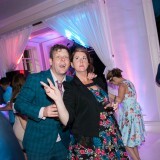 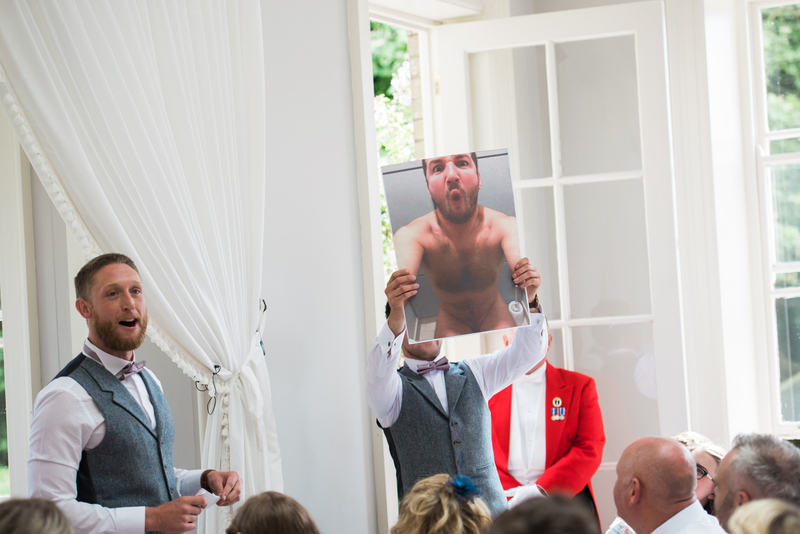 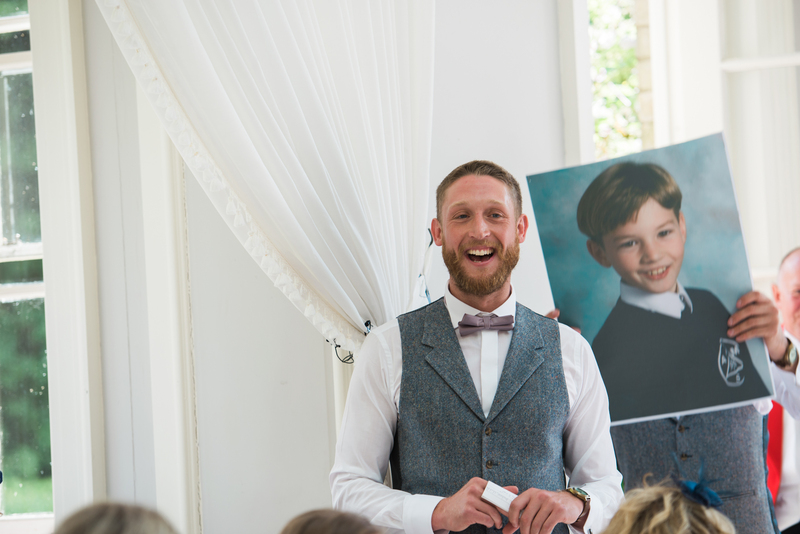 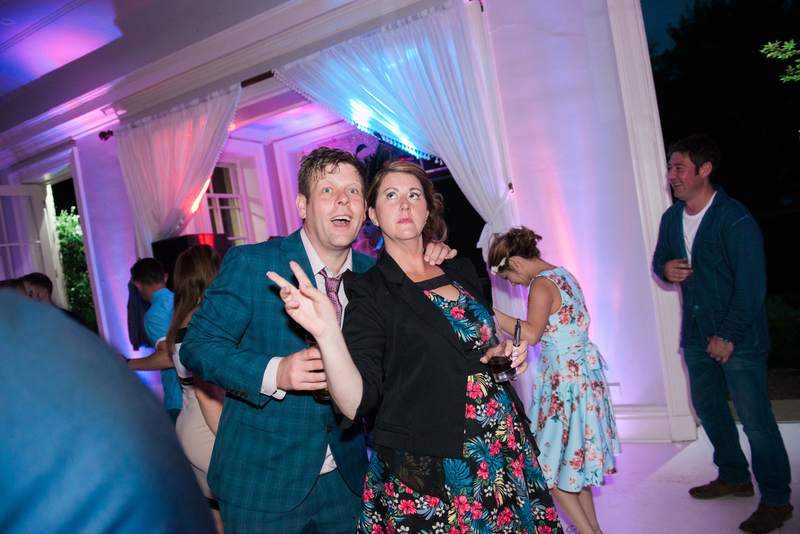 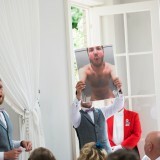 As extra entertainment, we also had a photo booth for guests to take silly photos and take away a copy as memories. 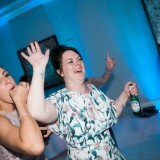 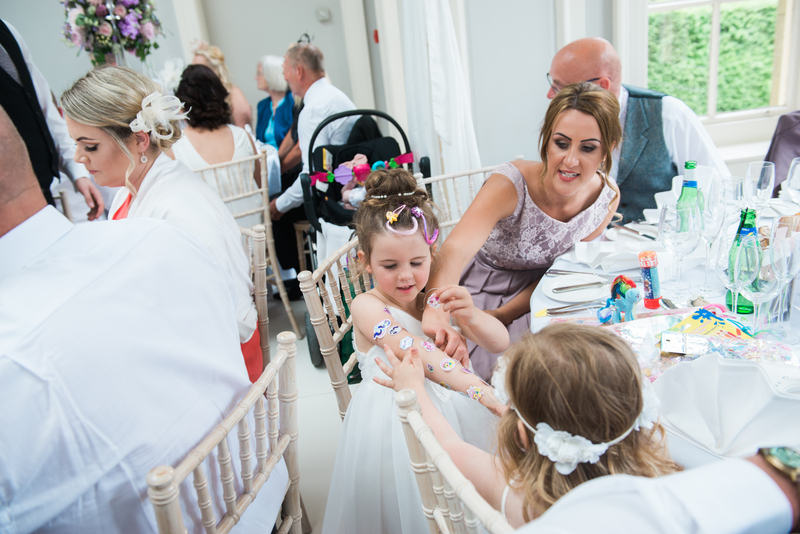 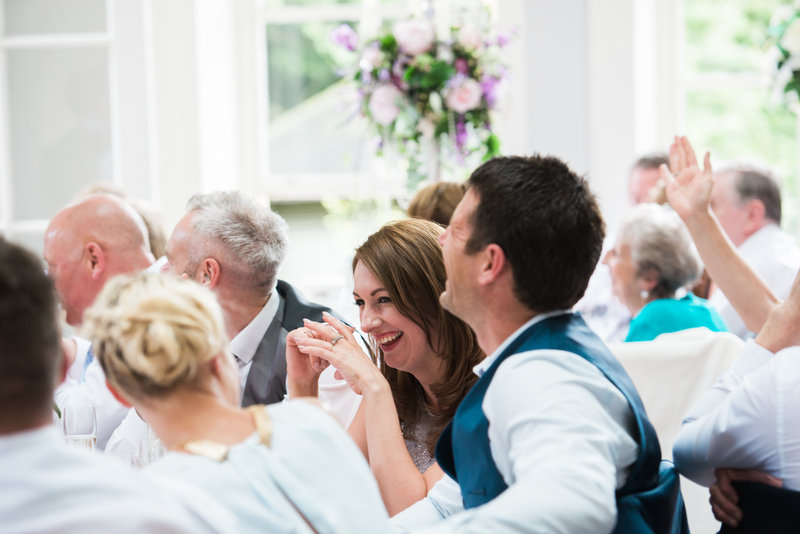 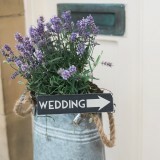 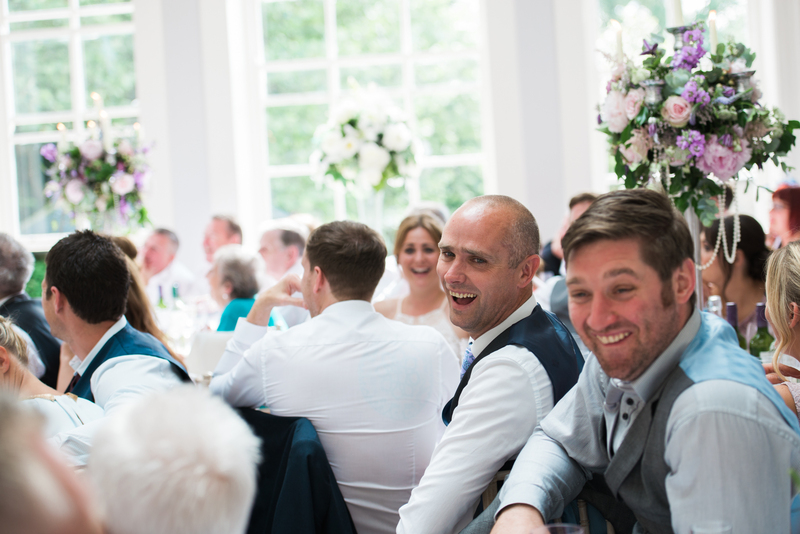 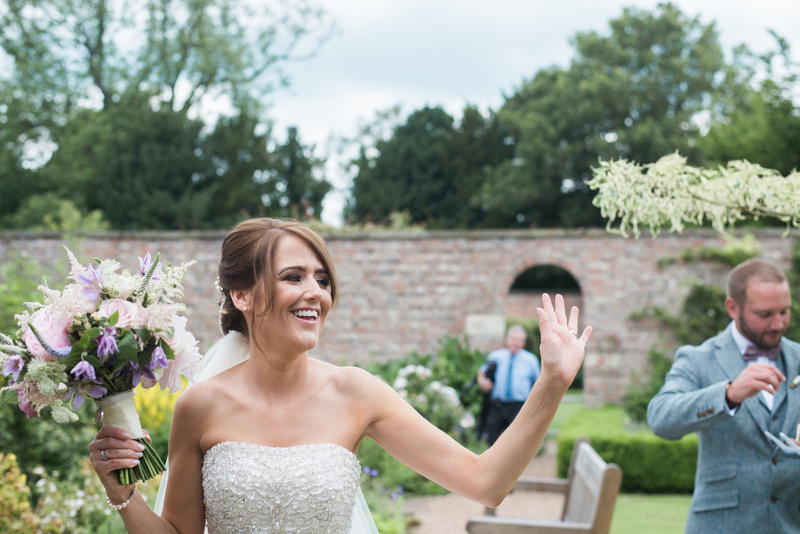 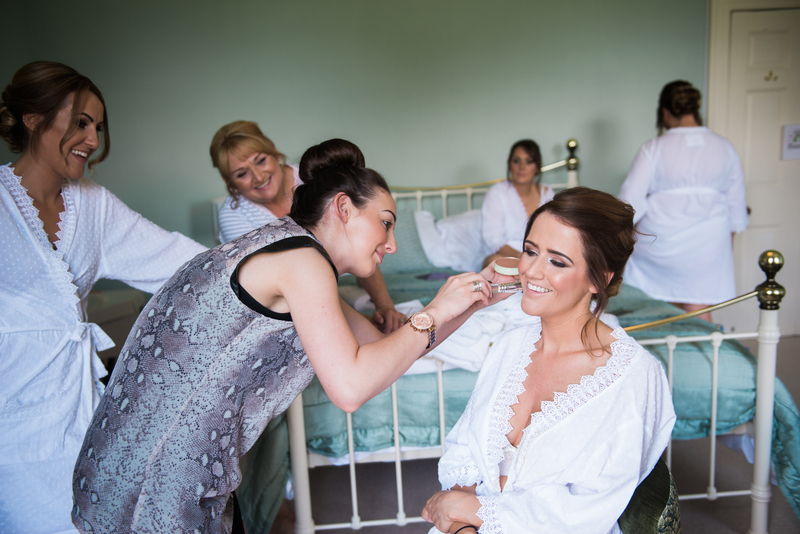 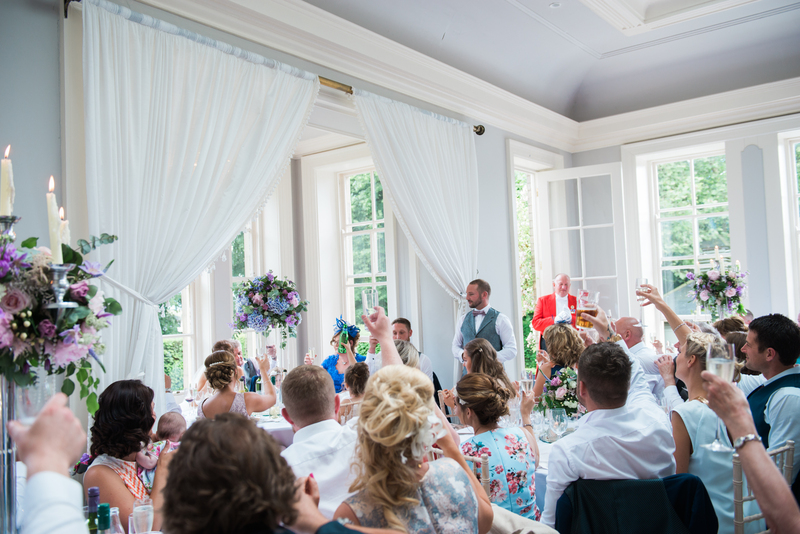 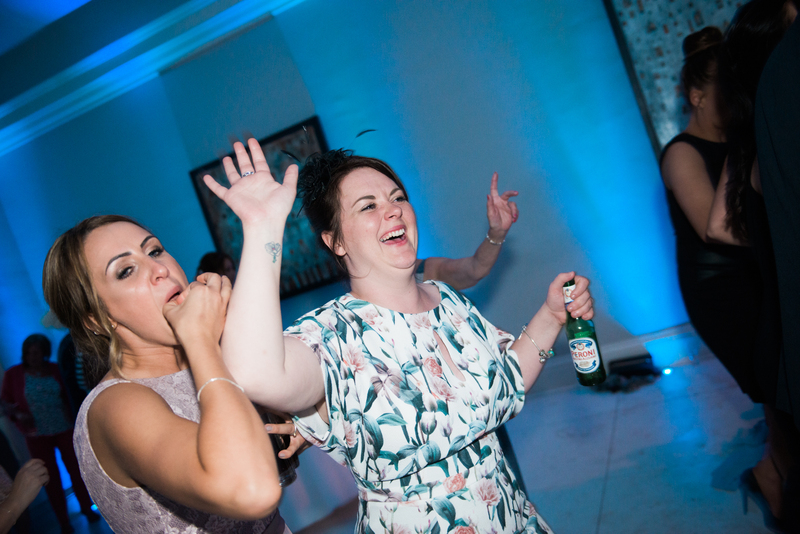 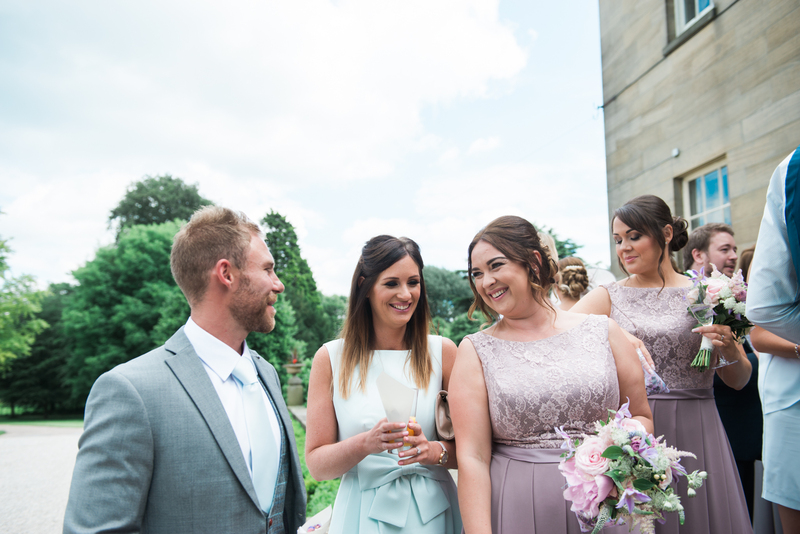 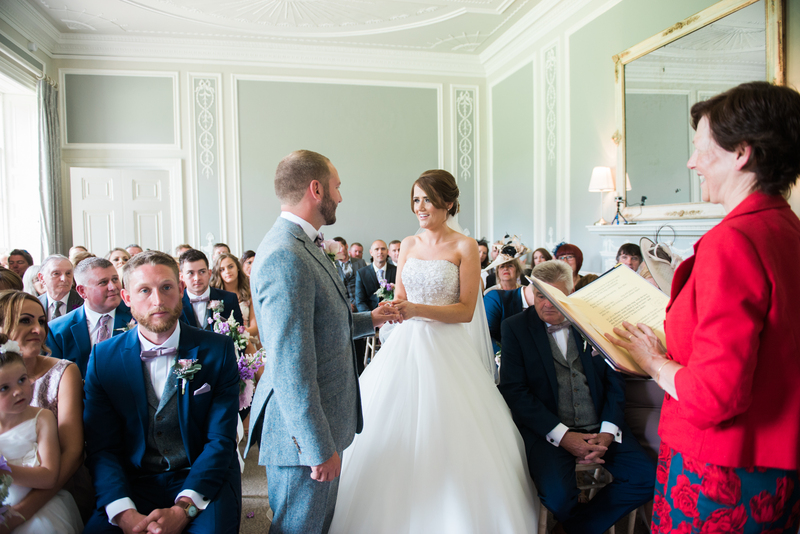 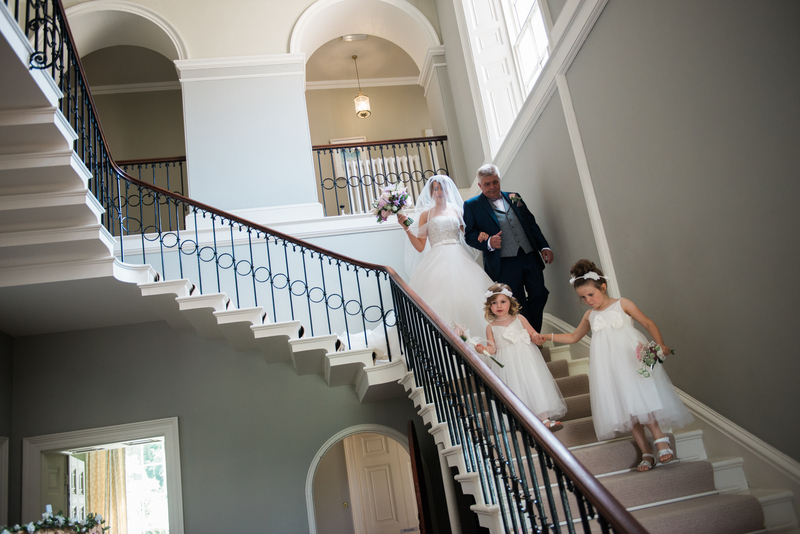 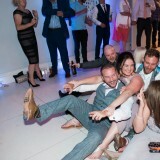 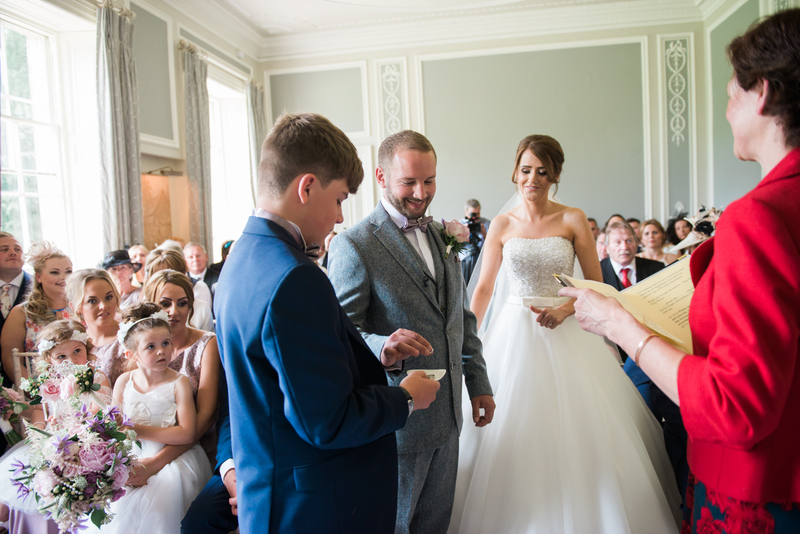 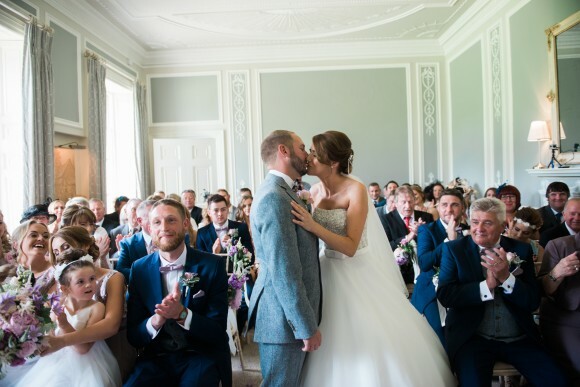 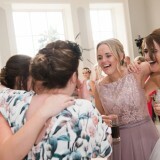 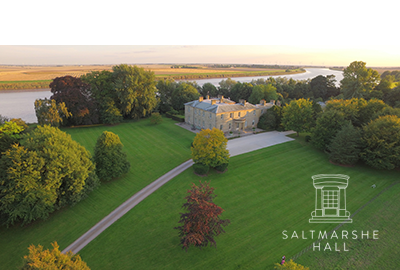 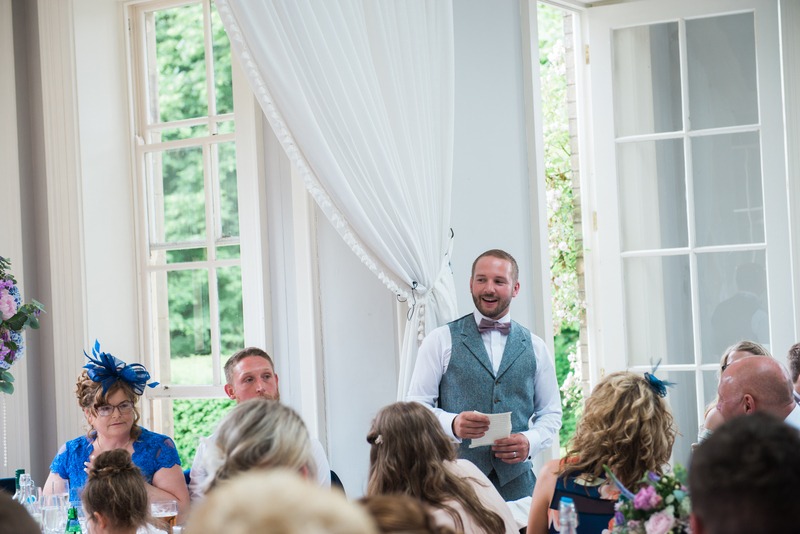 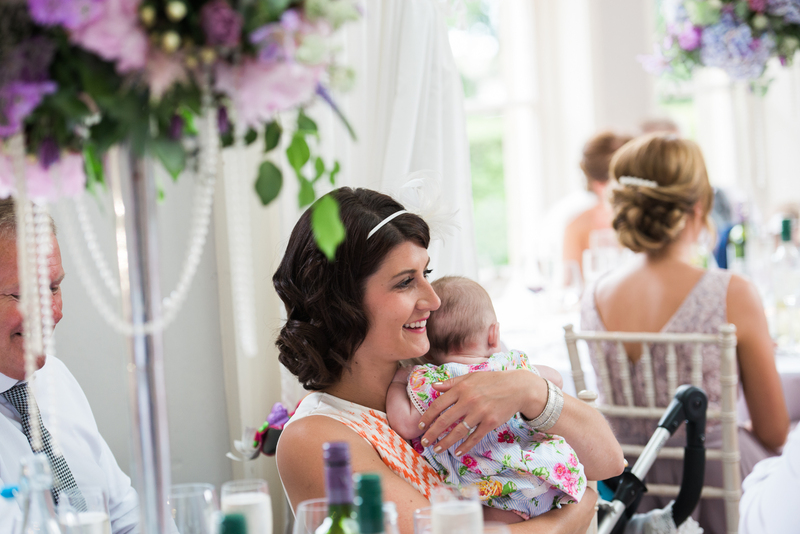 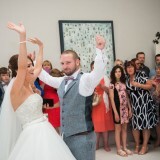 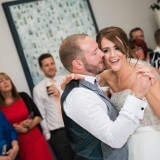 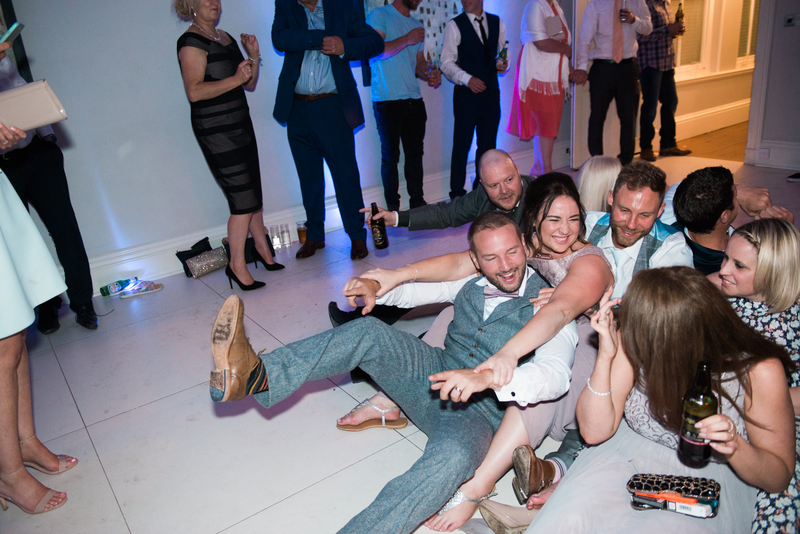 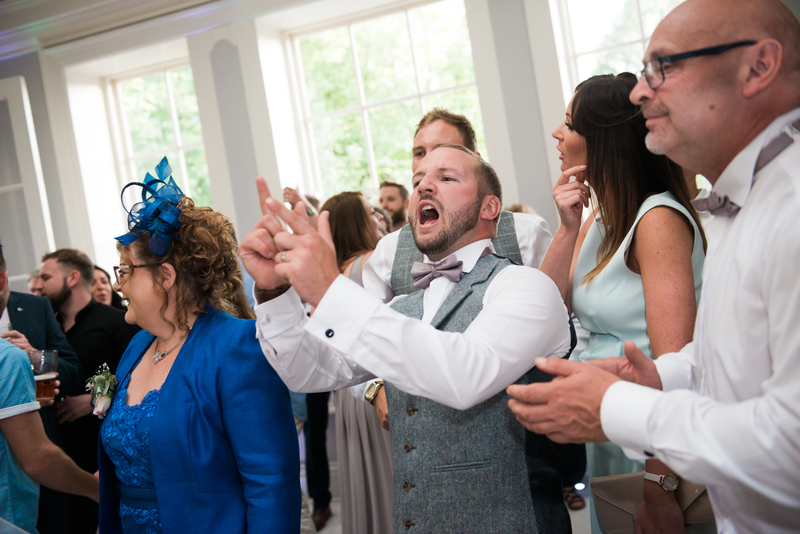 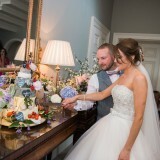 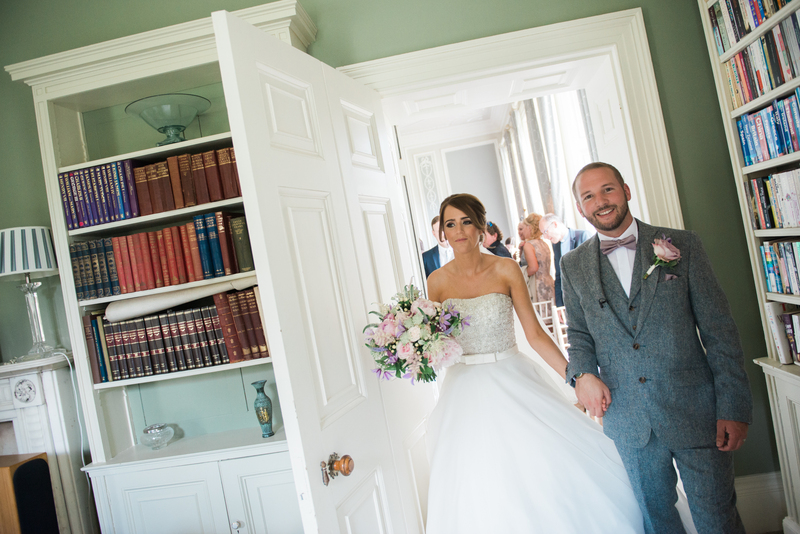 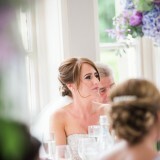 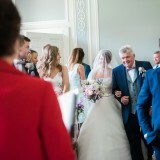 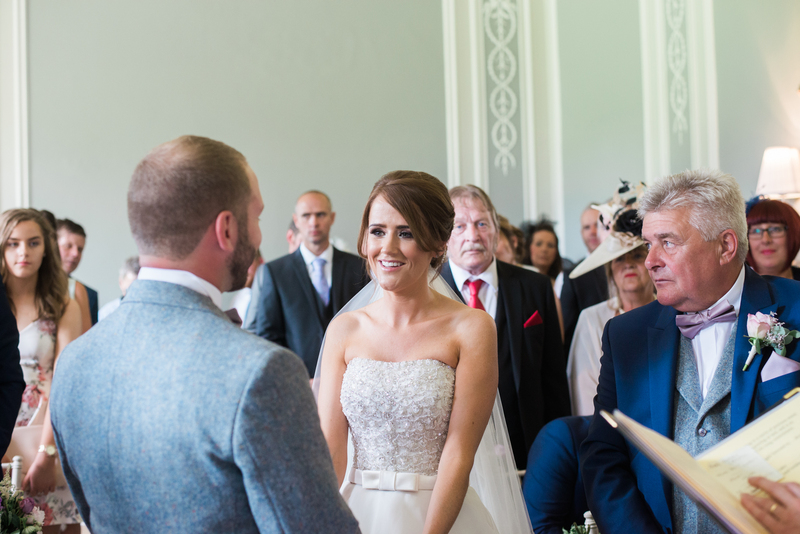 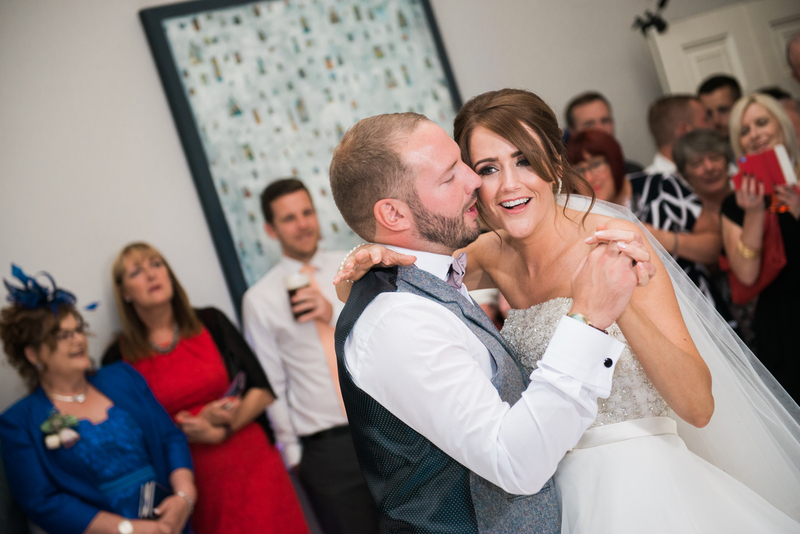 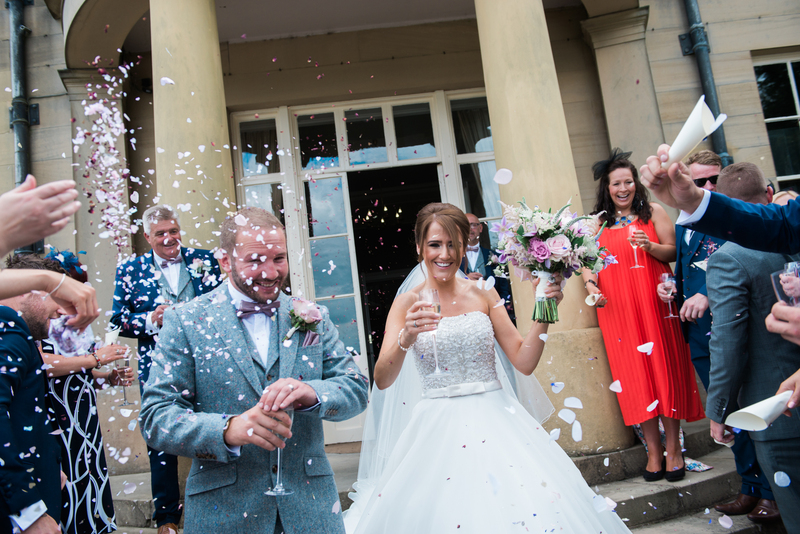 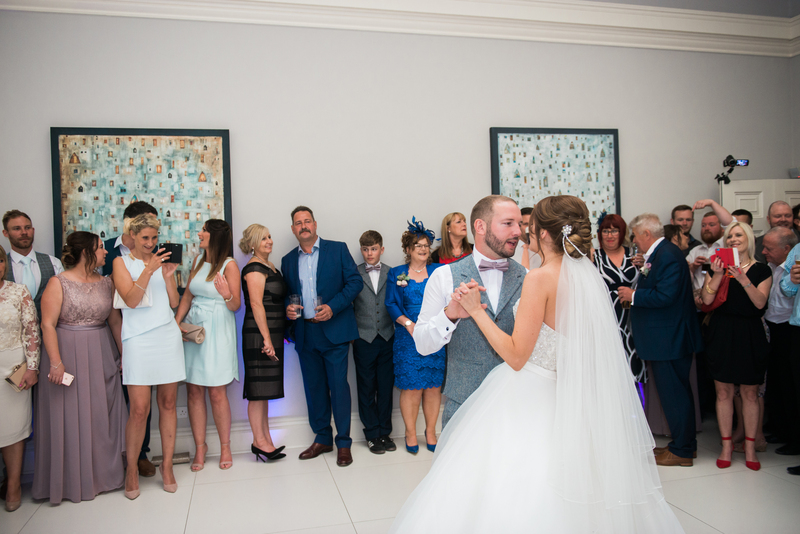 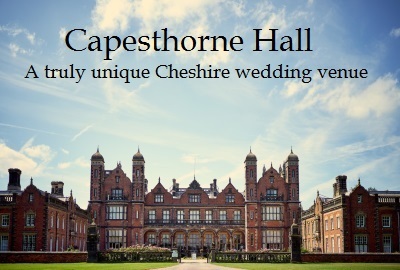 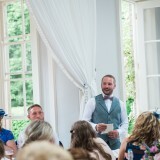 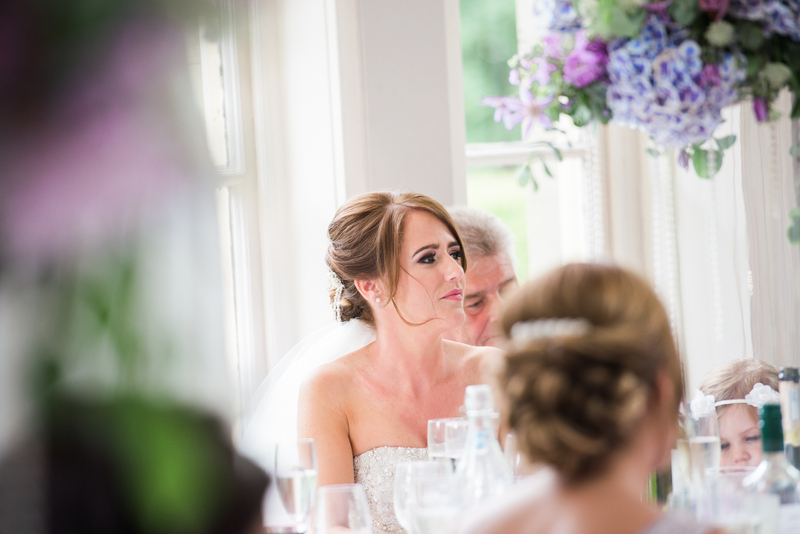 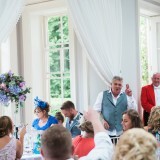 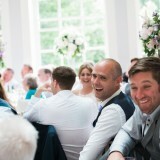 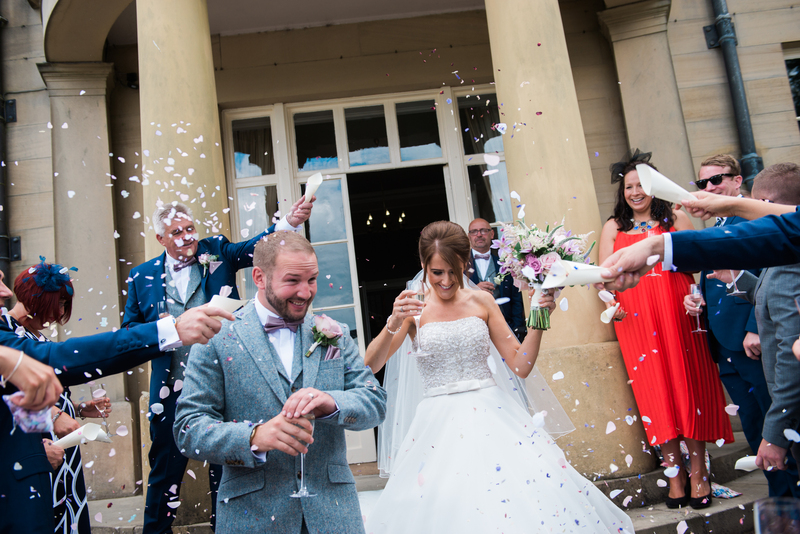 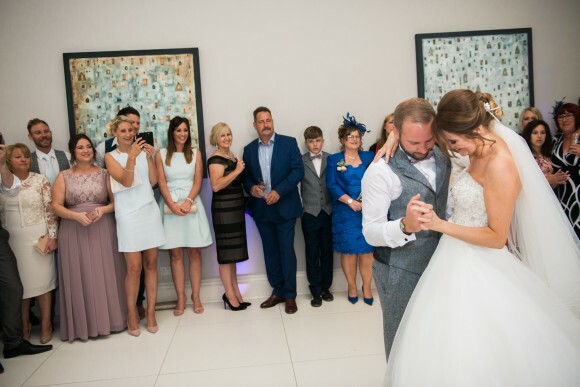 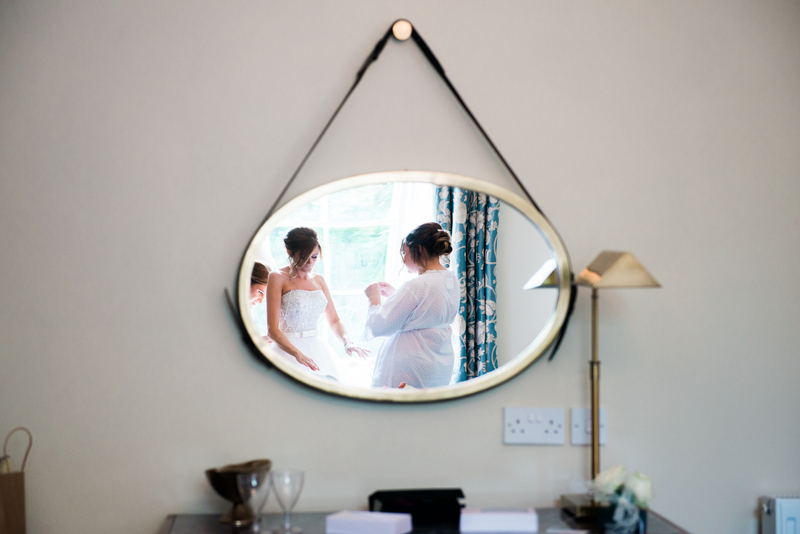 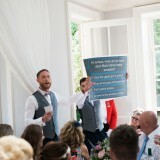 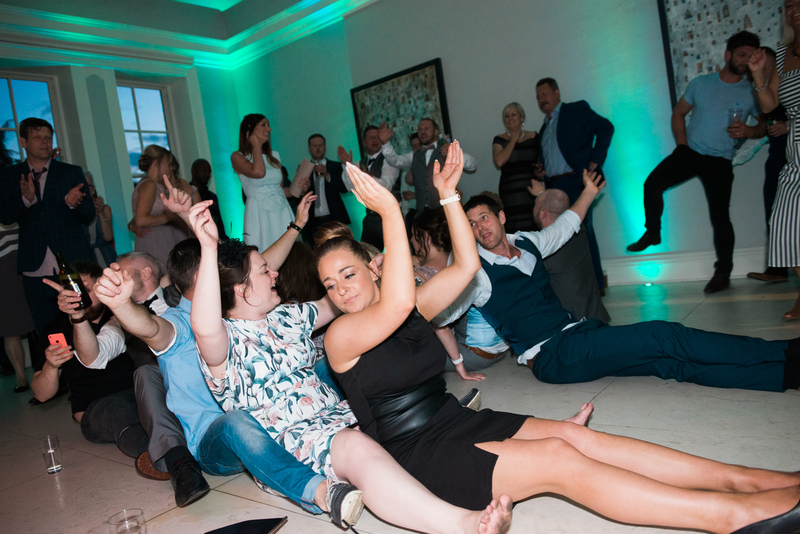 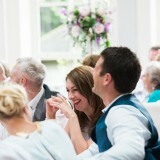 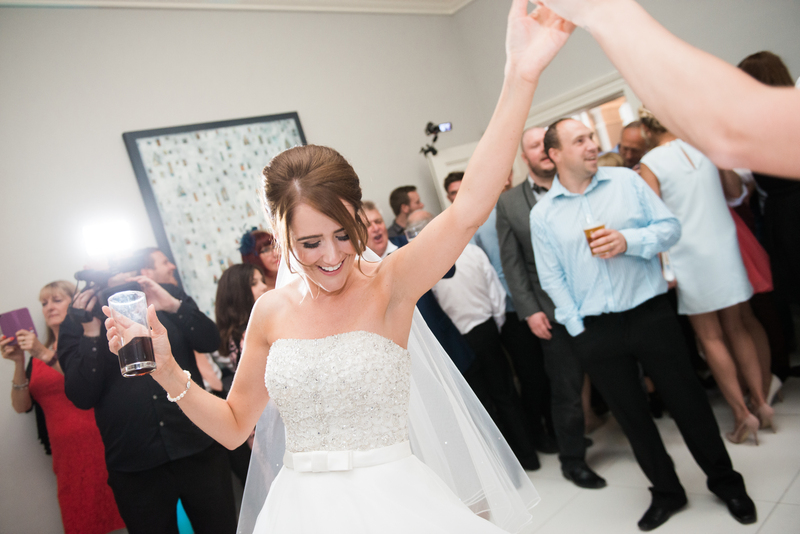 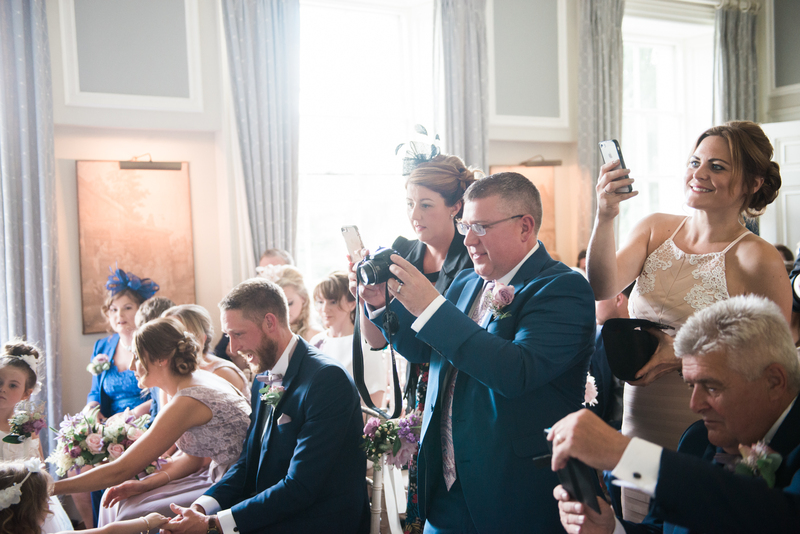 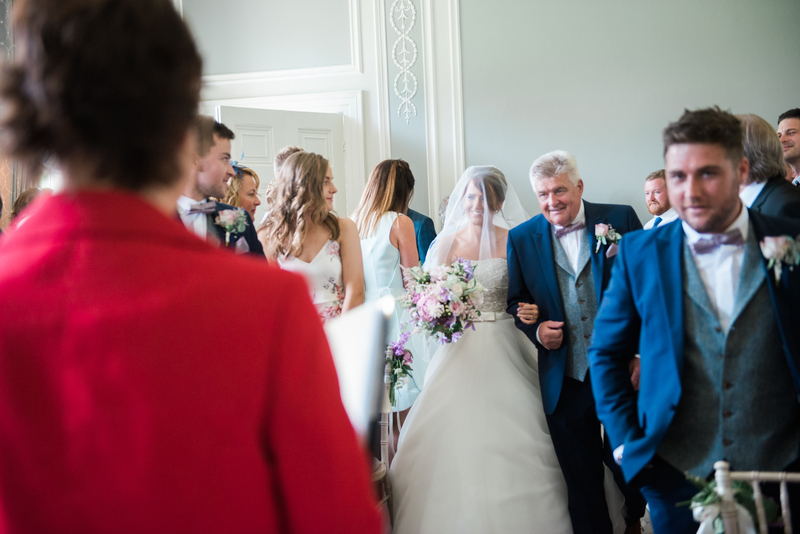 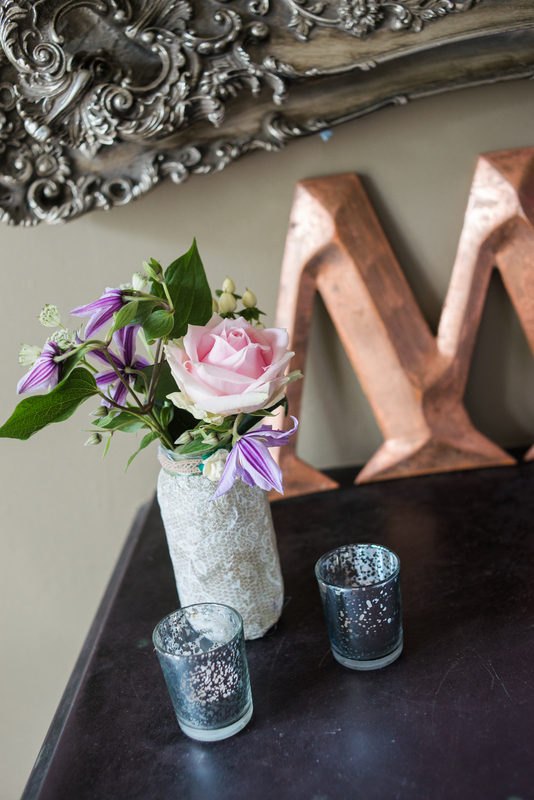 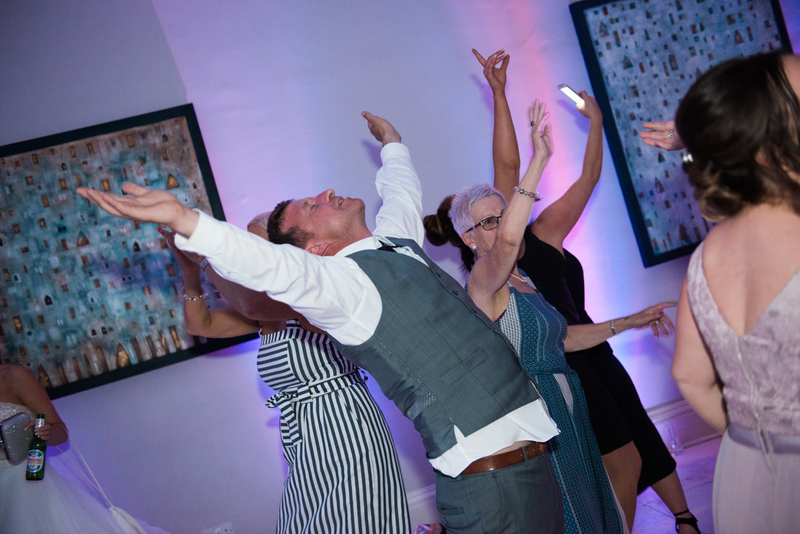 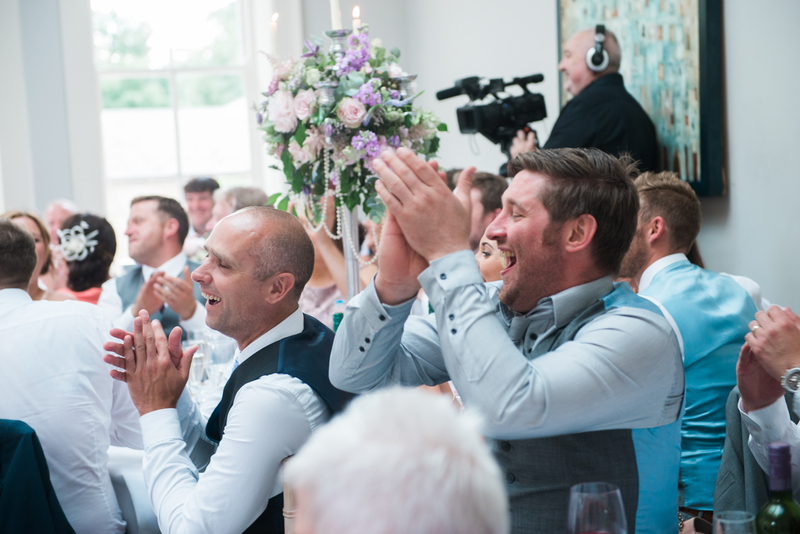 Following our wedding, we would definitely recommend Saltmarshe Hall to other couples. 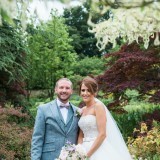 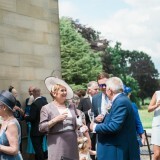 The venue was fantastic and the grounds offer amazing picture opportunities. 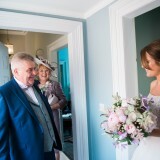 Kate, who owns the house, is very accommodating and we had an amazing master of ceremonies called Colin. 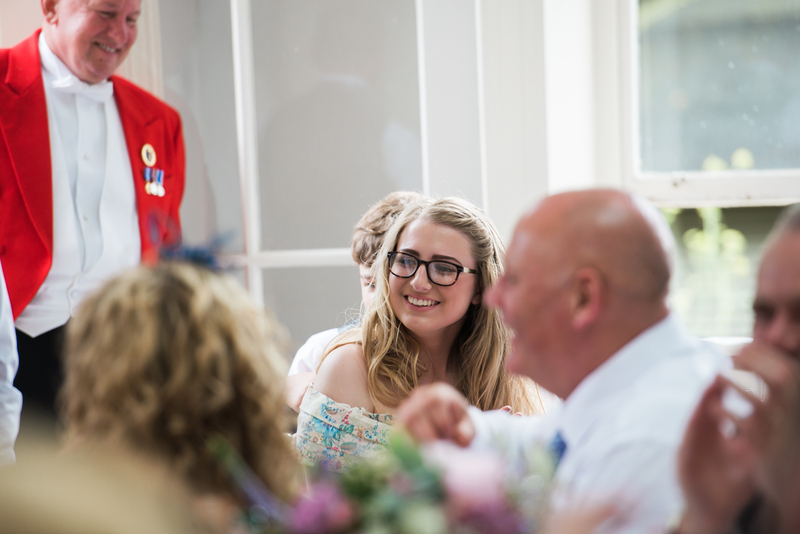 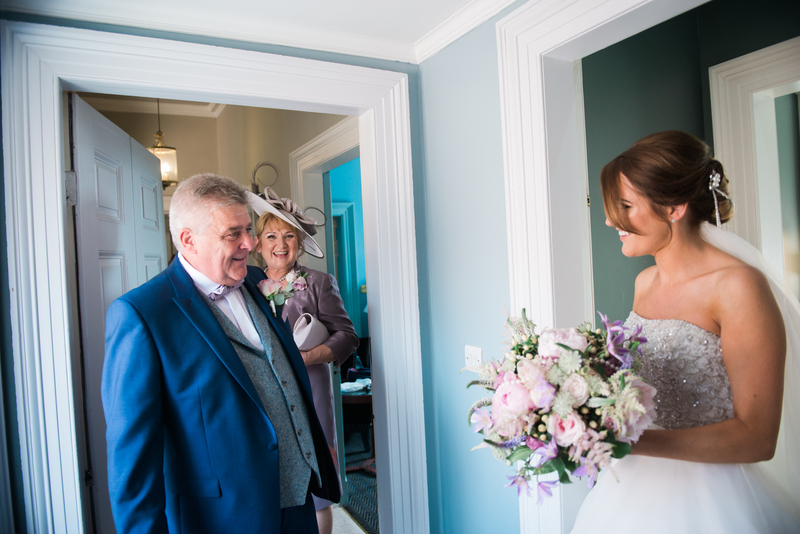 Looking back, I couldn’t pick one single part of the day as my favourite; it all seemed to flow so well and we had a great mix of formality and informality. 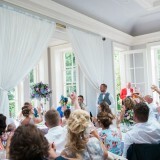 Everyone commented how fantastic a day it was. 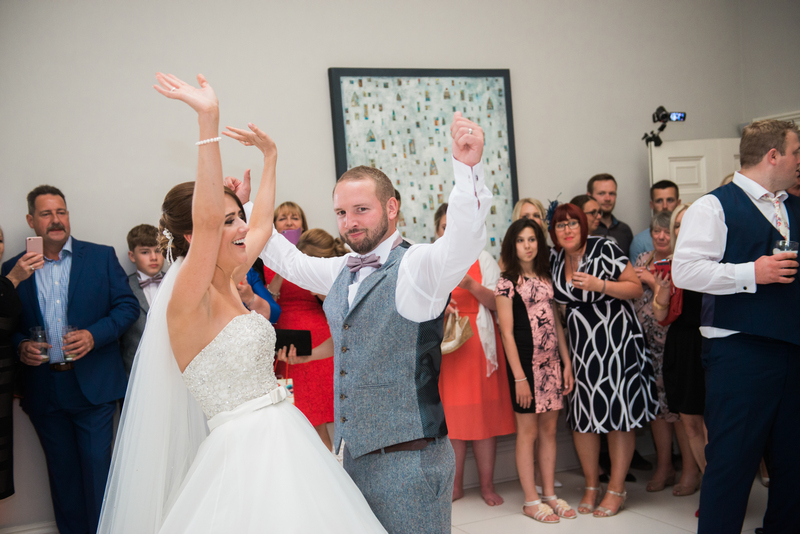 After the wedding we went on honeymoon to Ikos Oceania, Halkidiki Greece for a week of luxury! 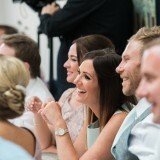 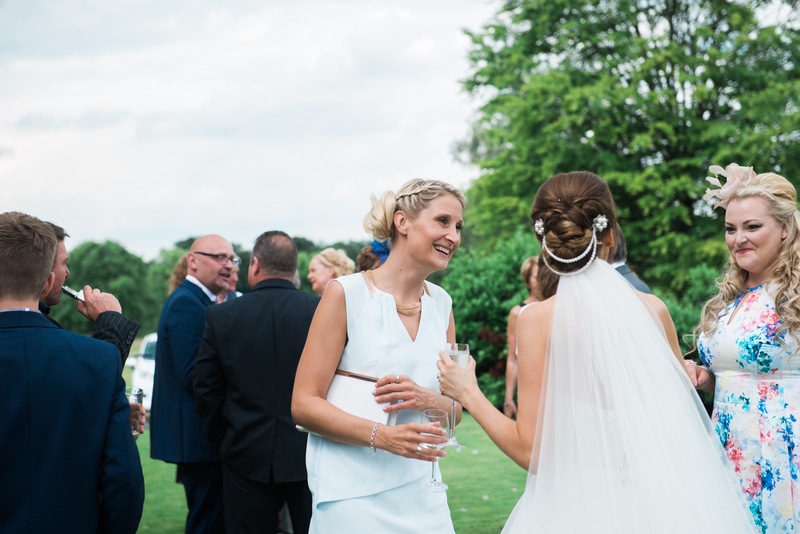 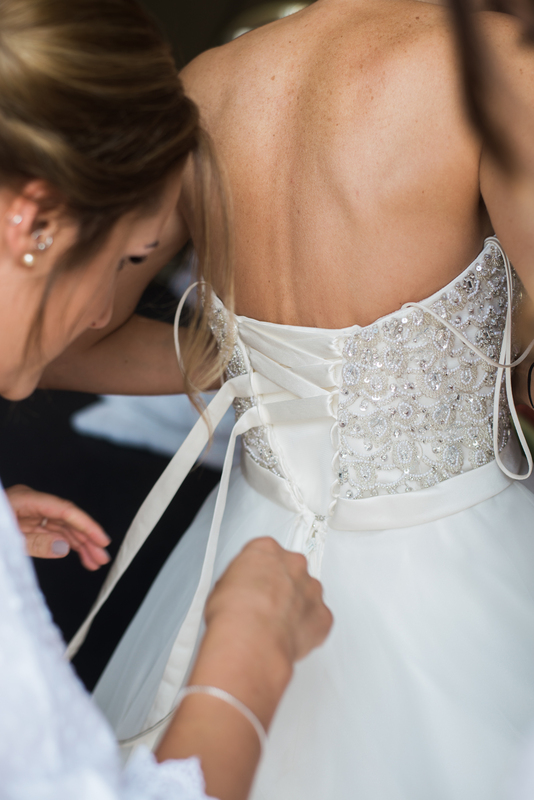 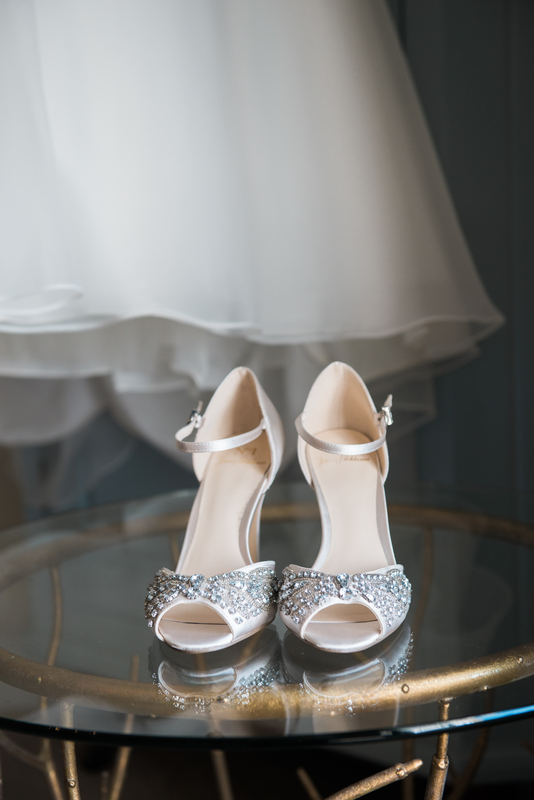 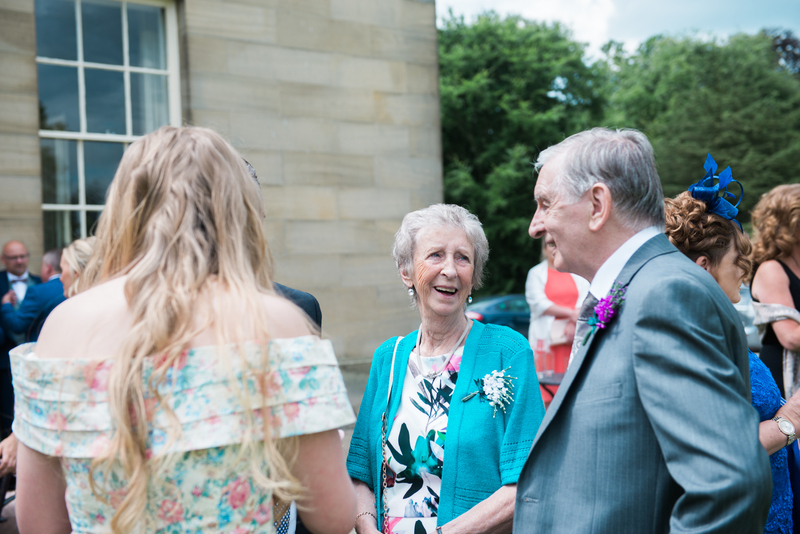 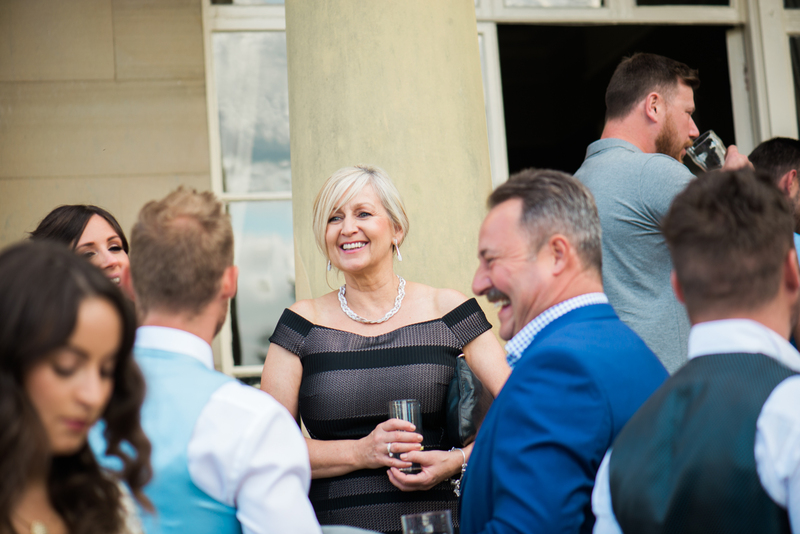 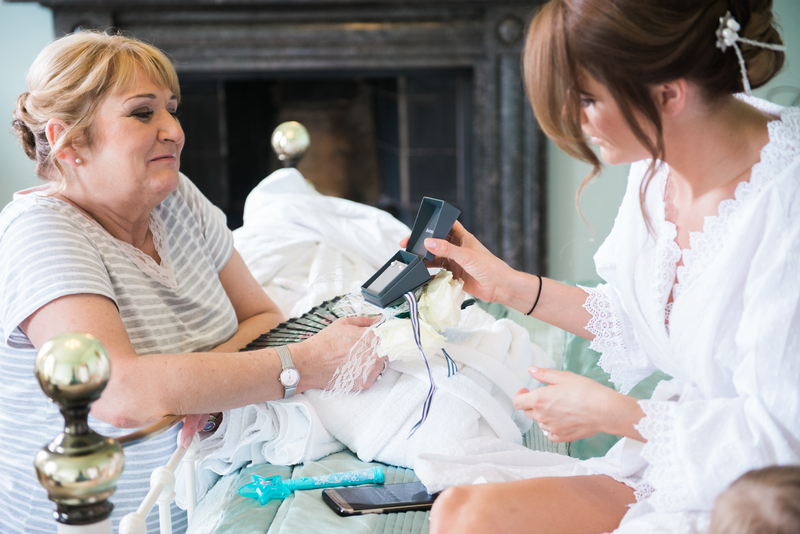 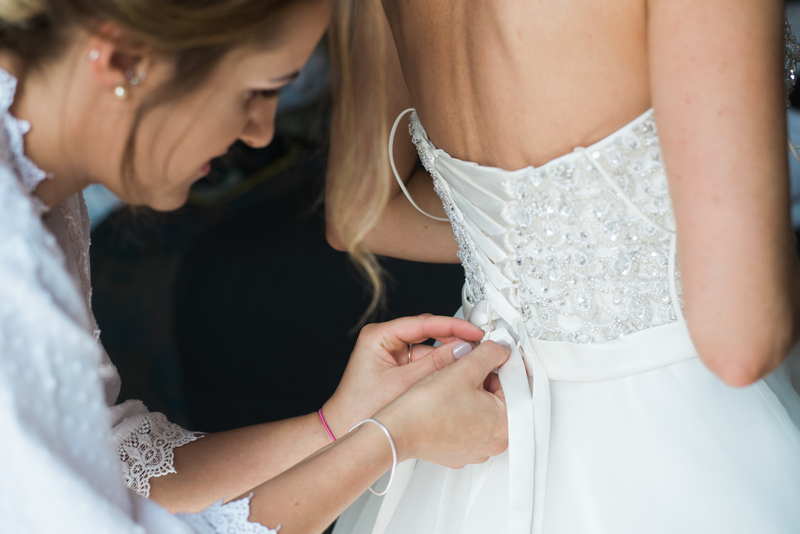 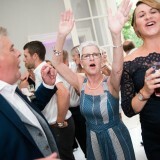 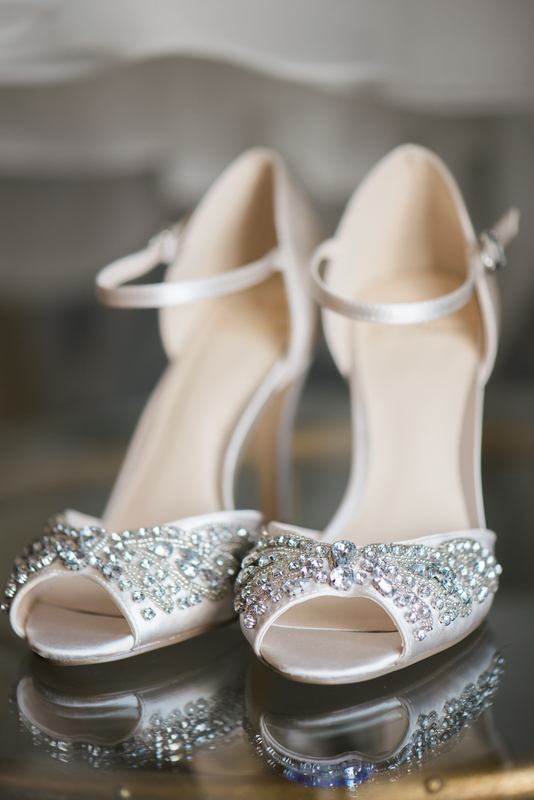 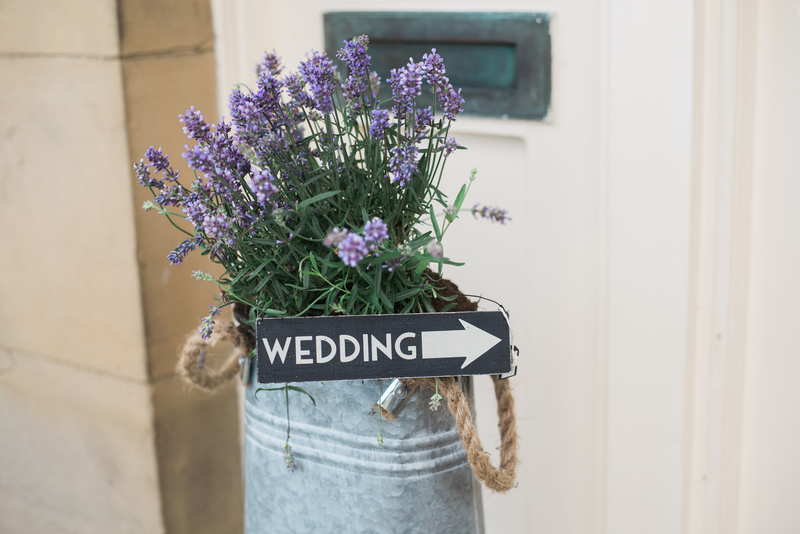 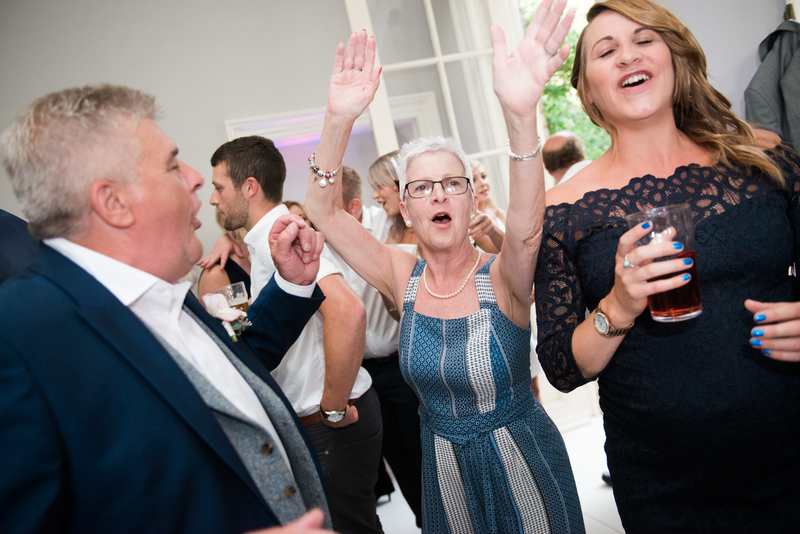 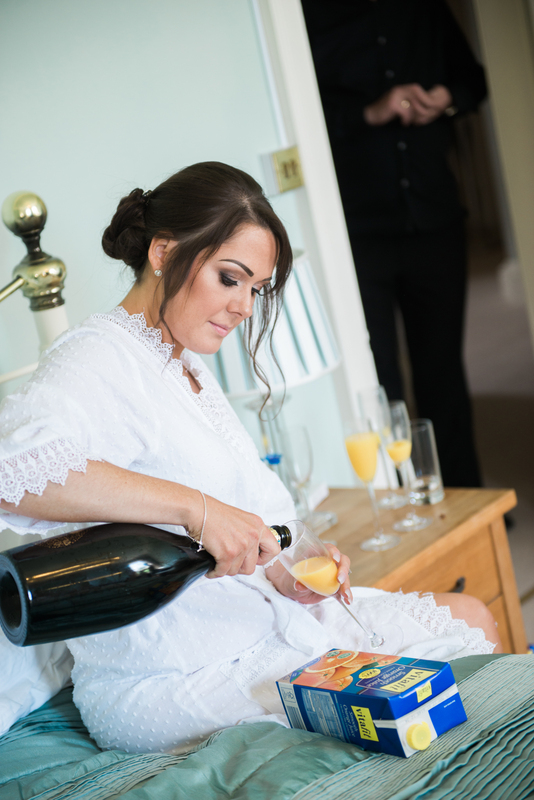 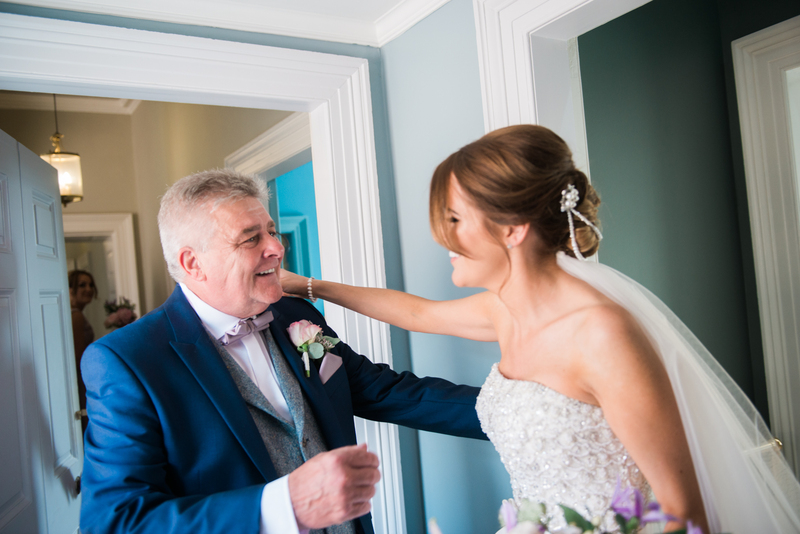 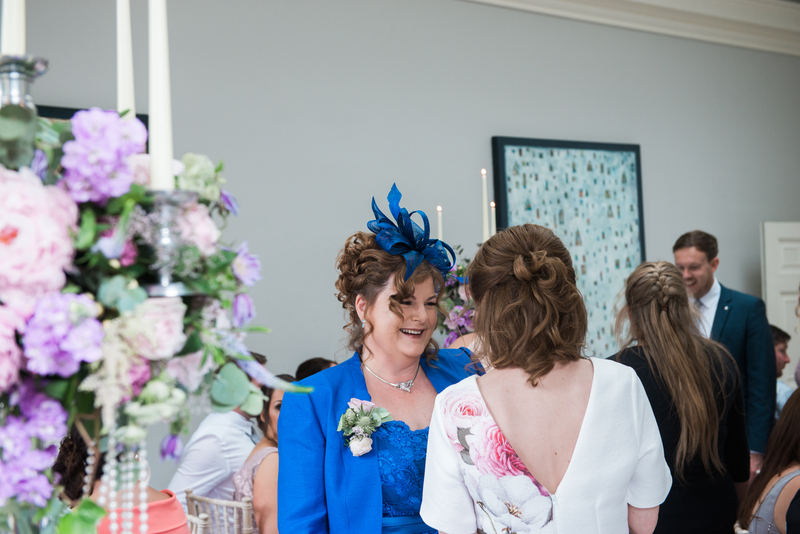 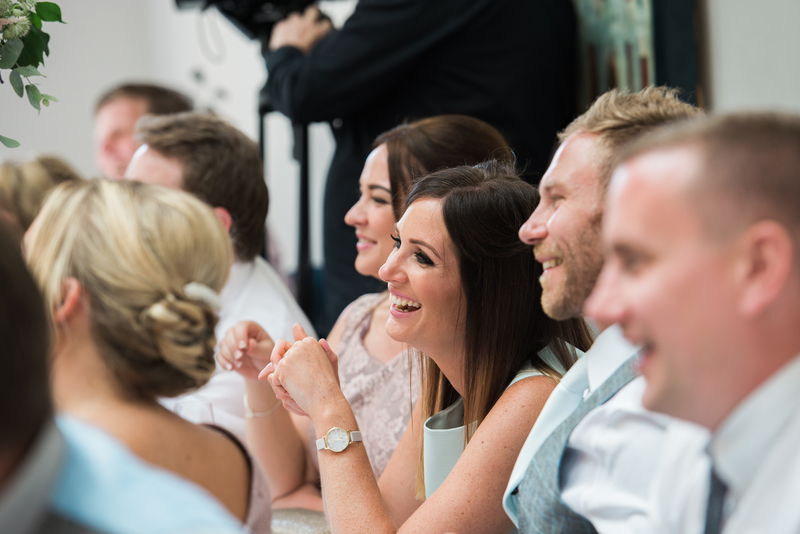 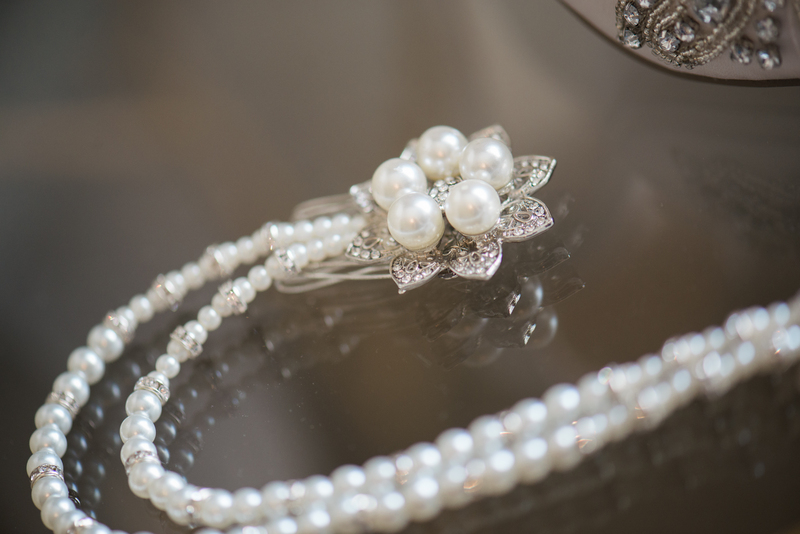 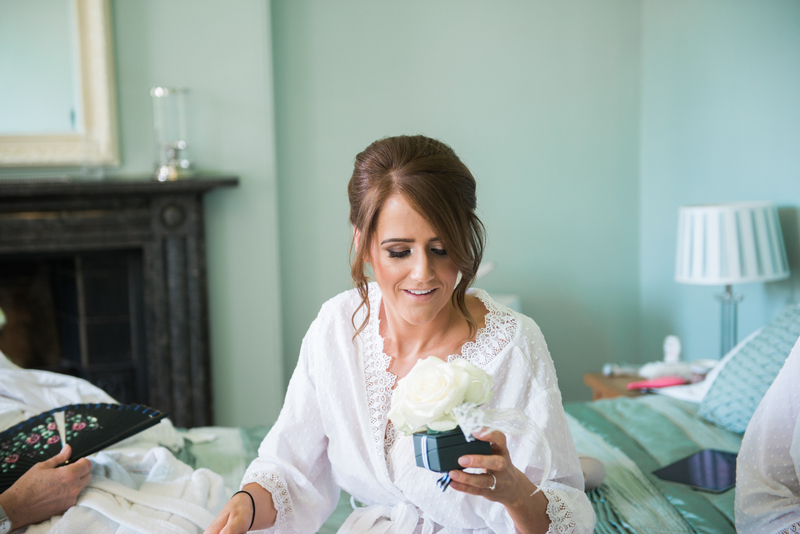 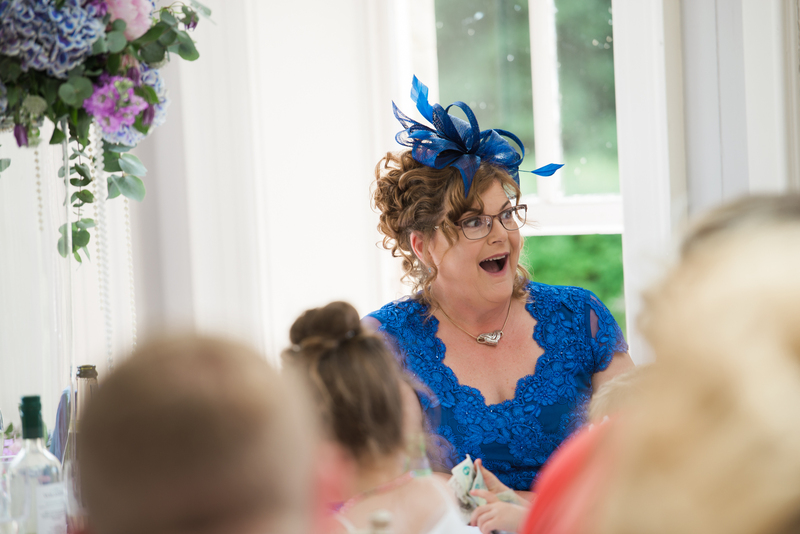 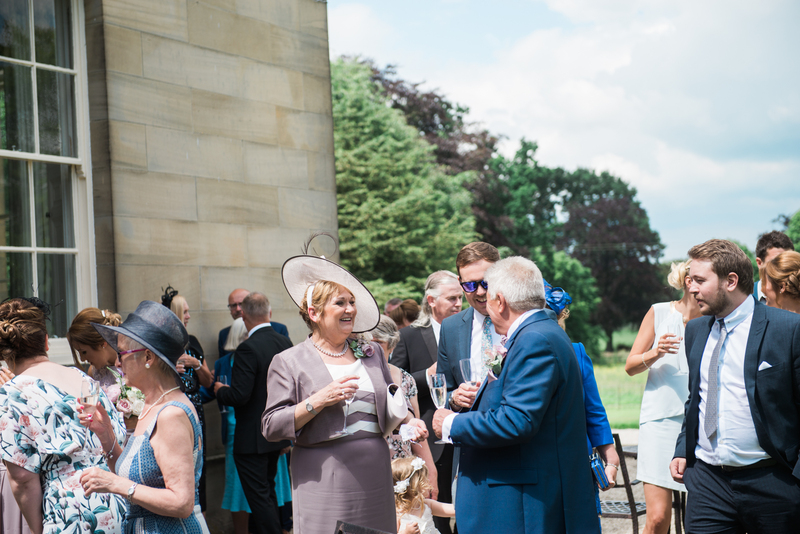 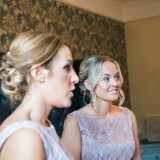 My top tip to other Brides Up North would be – take your time and start doing things early to avoid the crazy rush at the end.